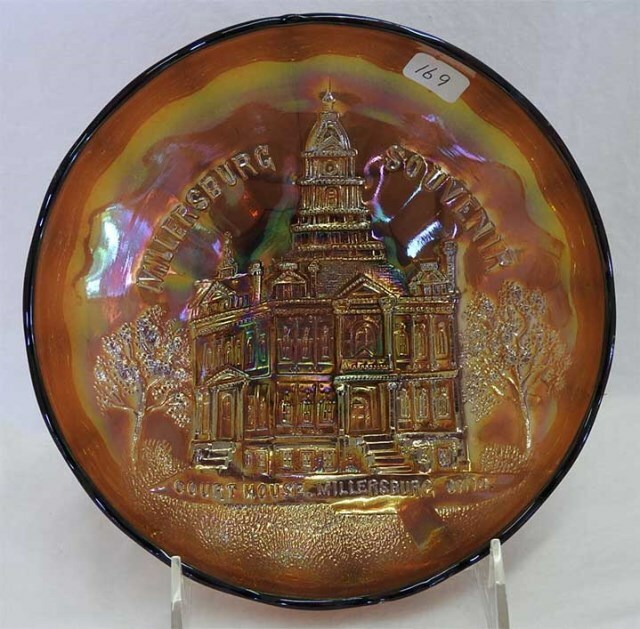 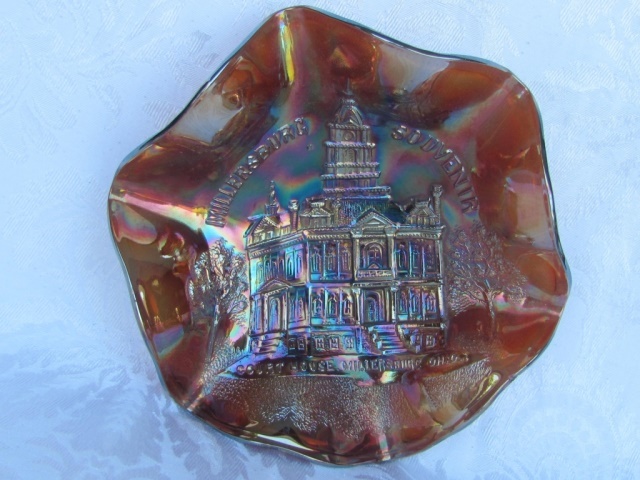 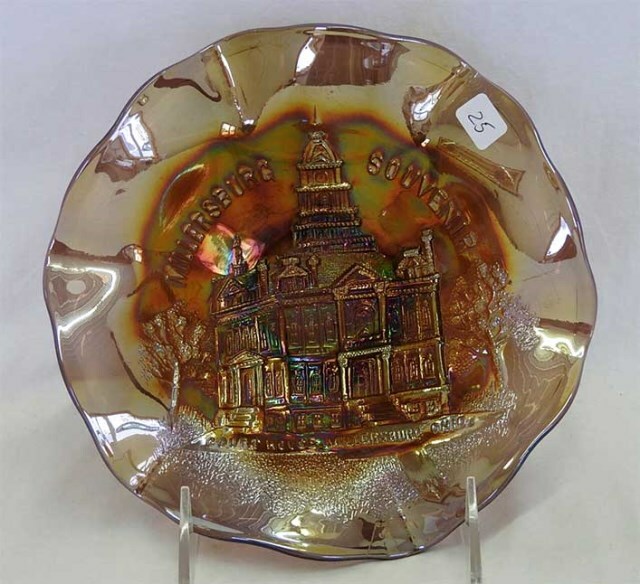 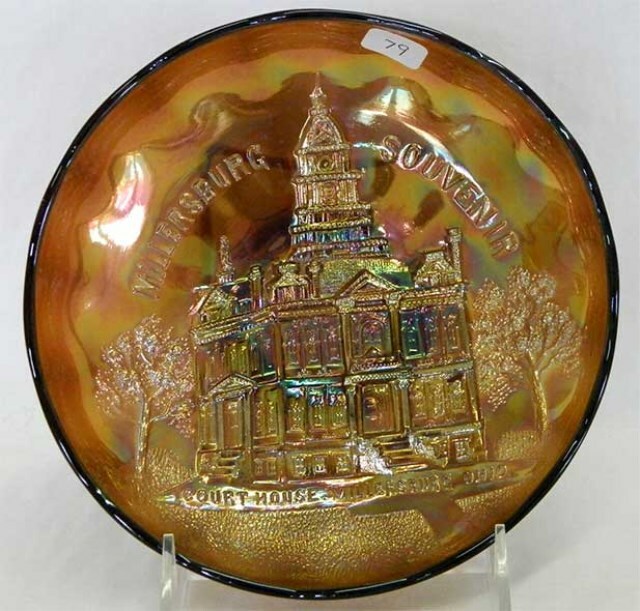 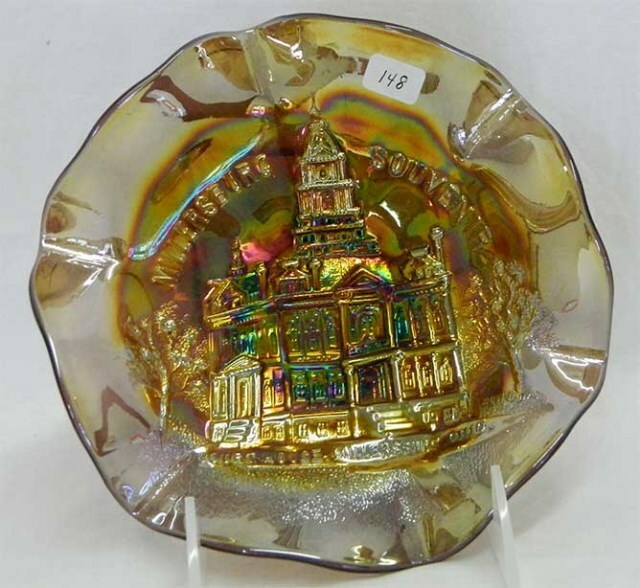 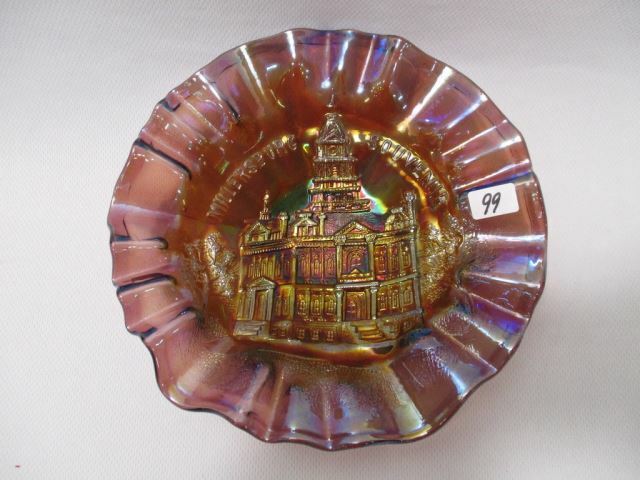 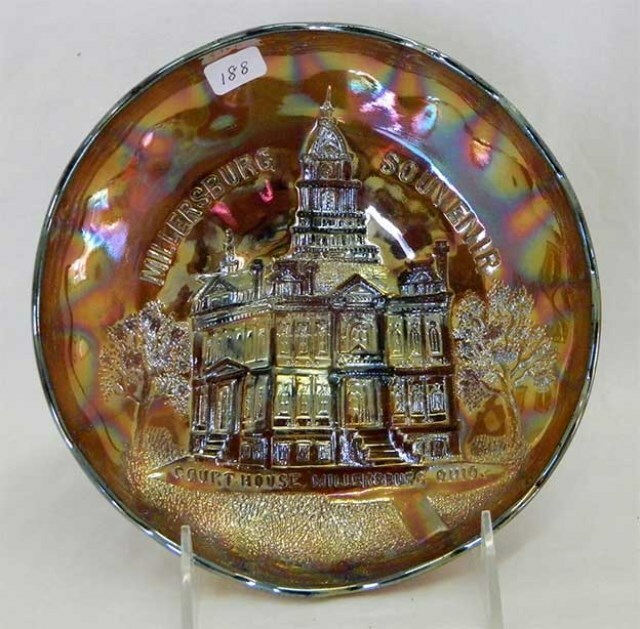 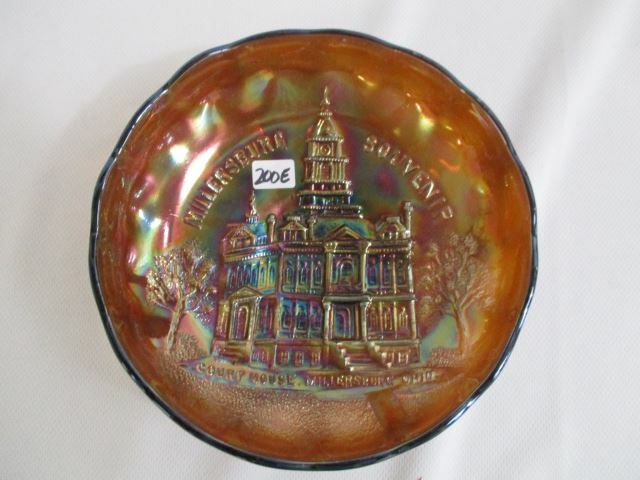 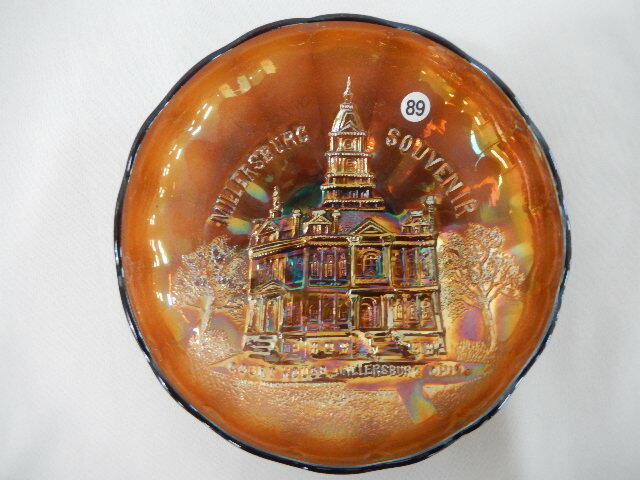 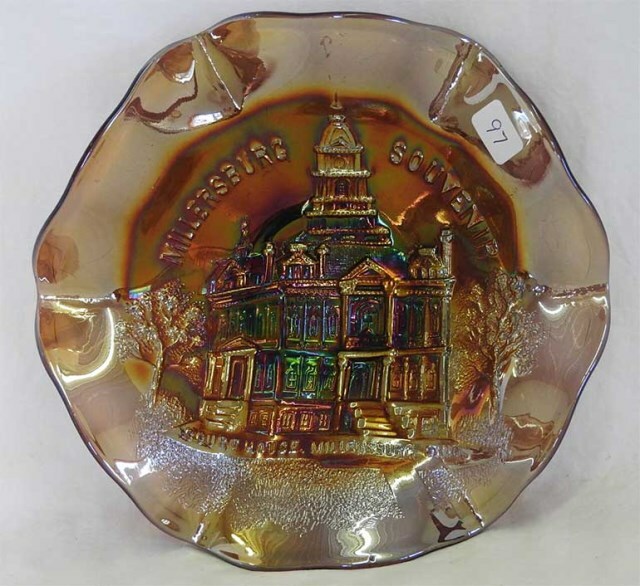 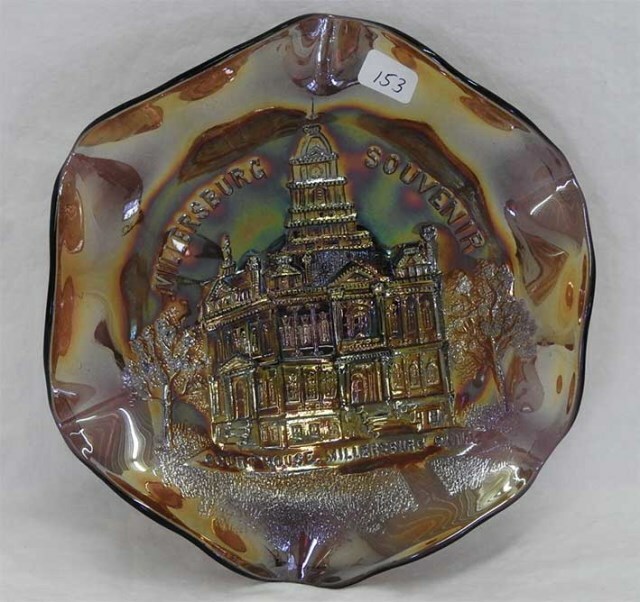 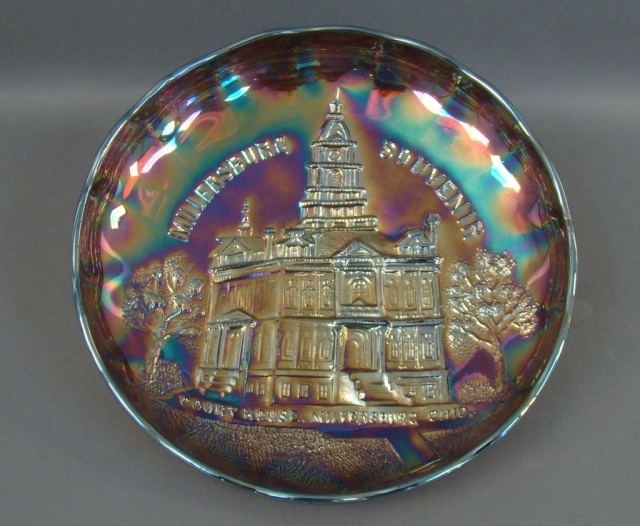 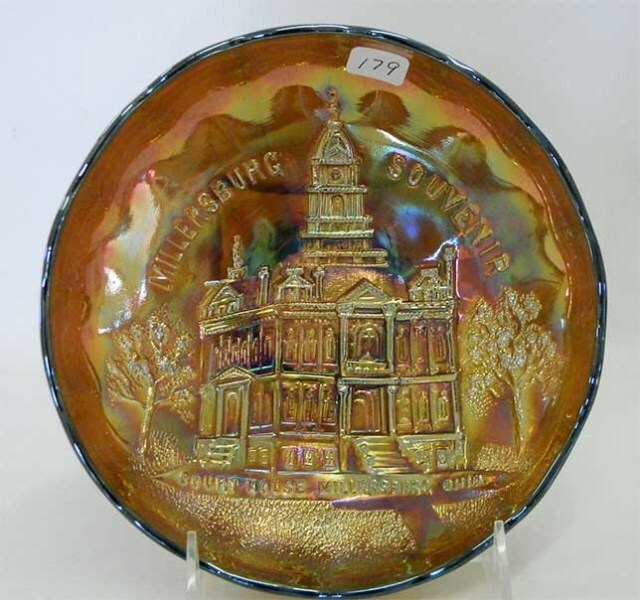 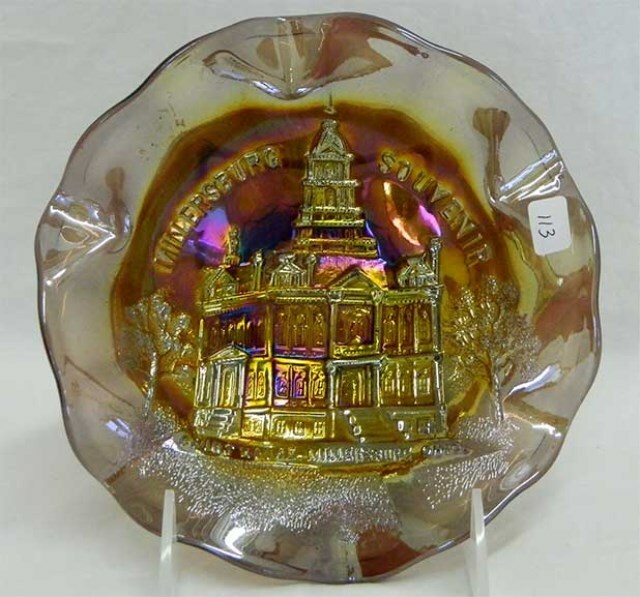 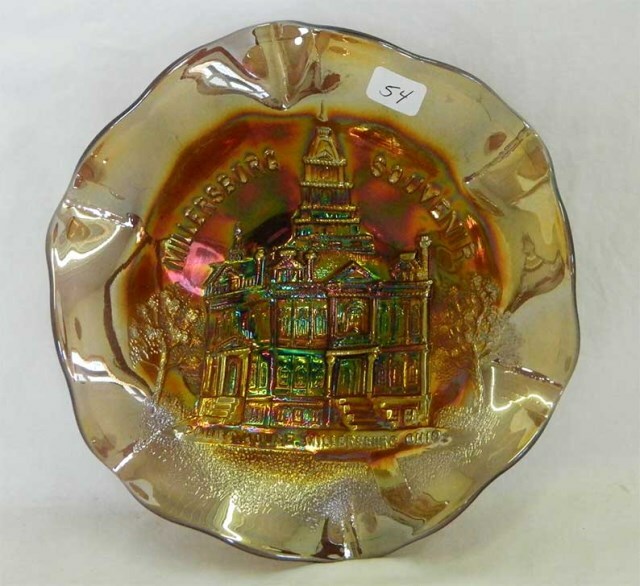 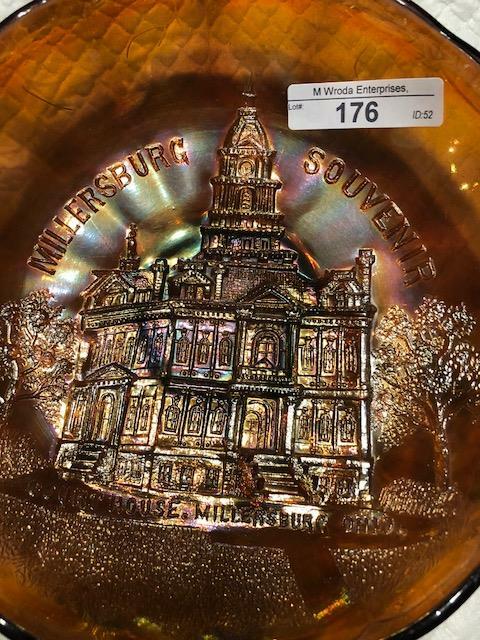 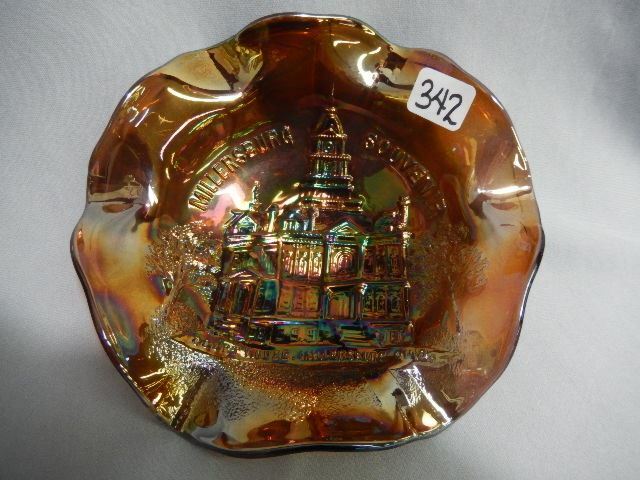 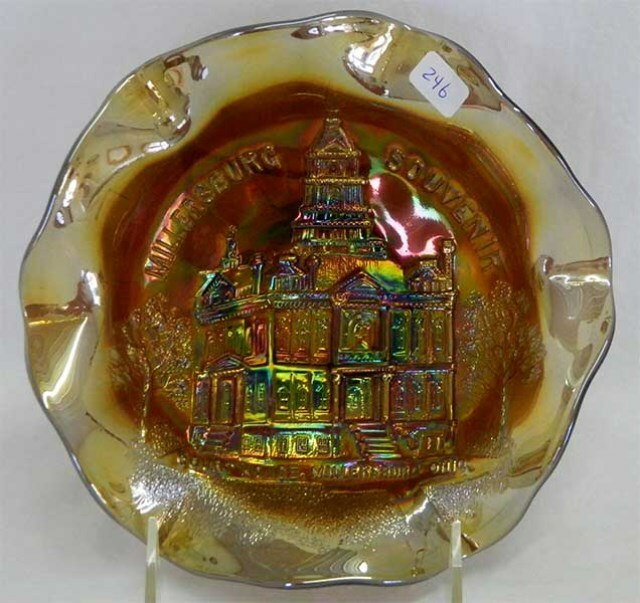 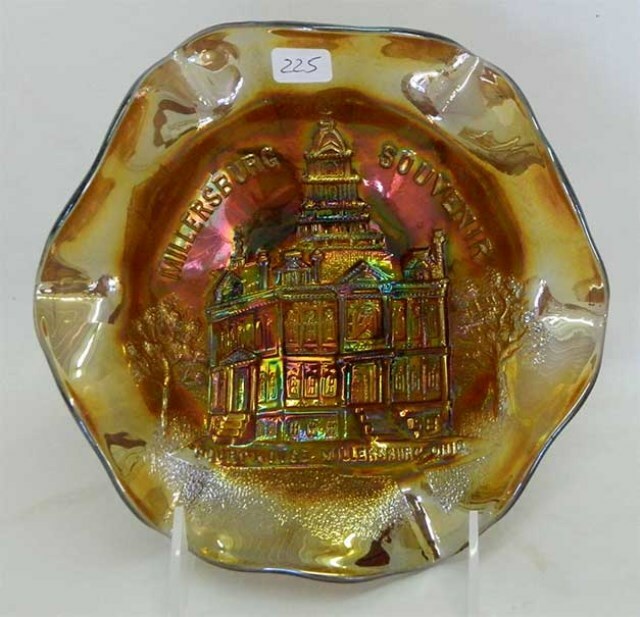 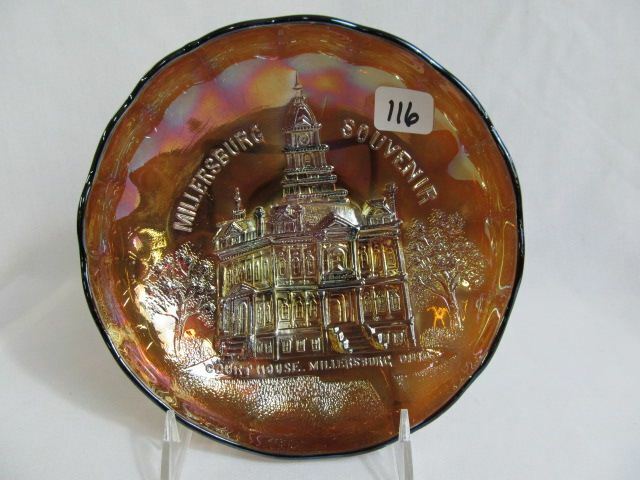 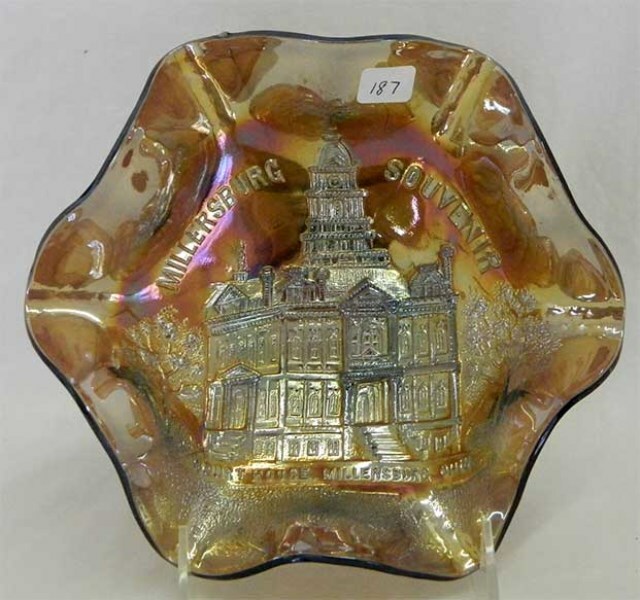 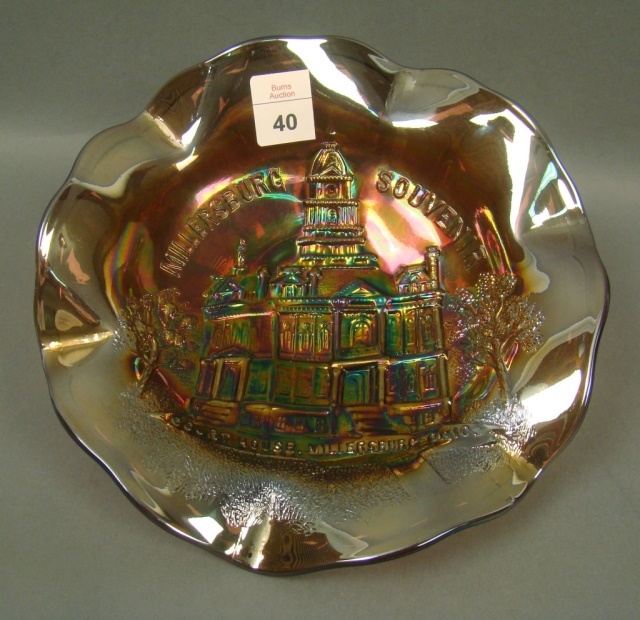 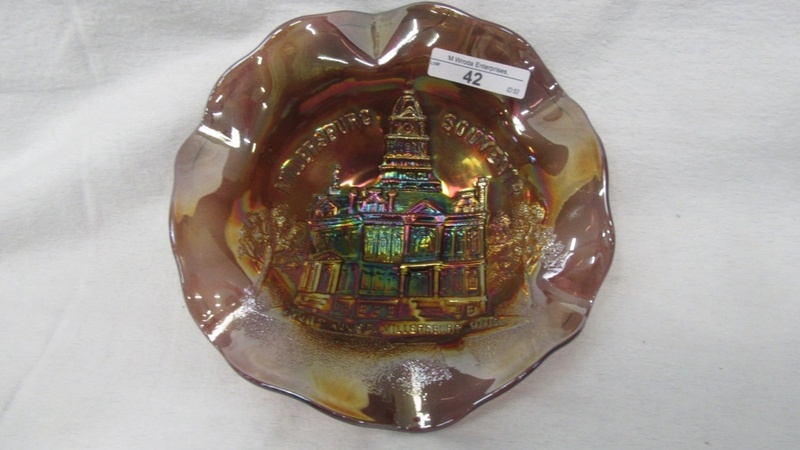 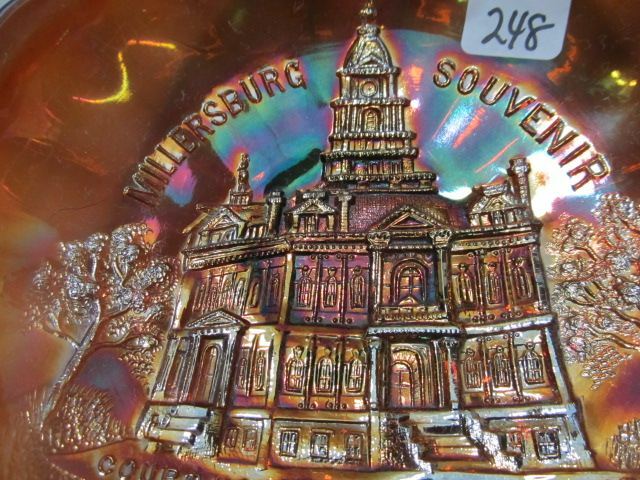 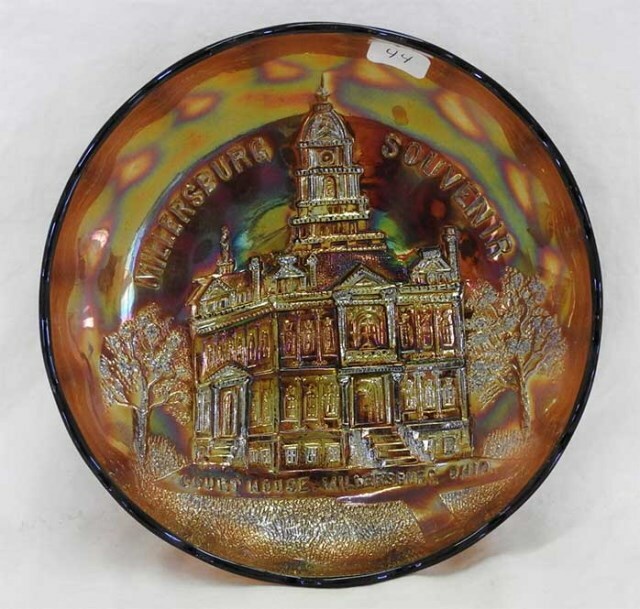 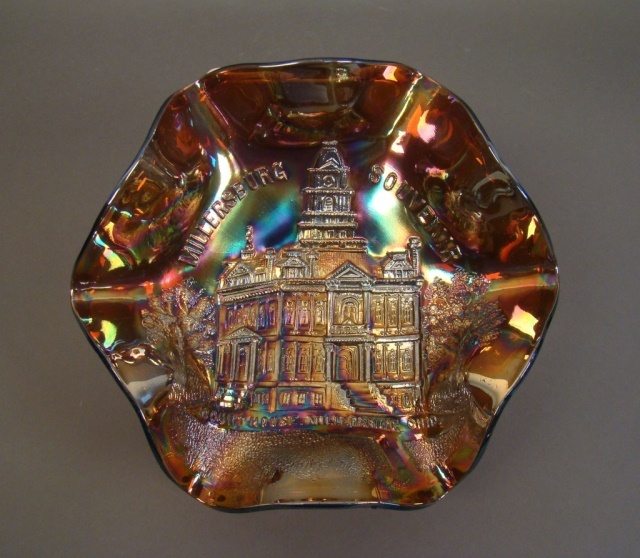 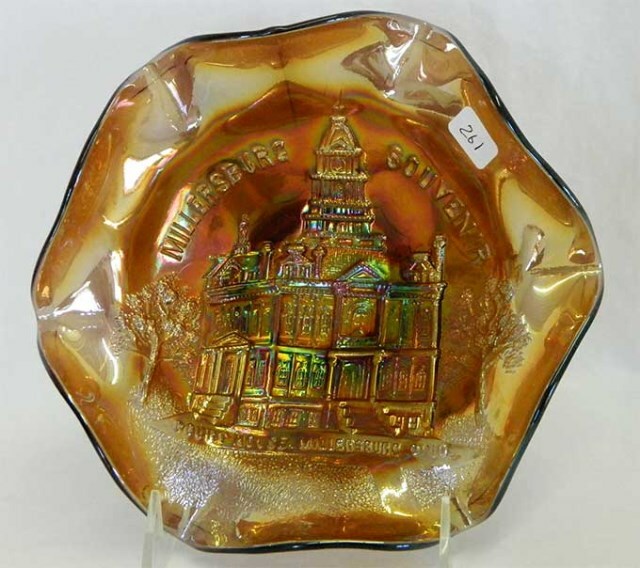 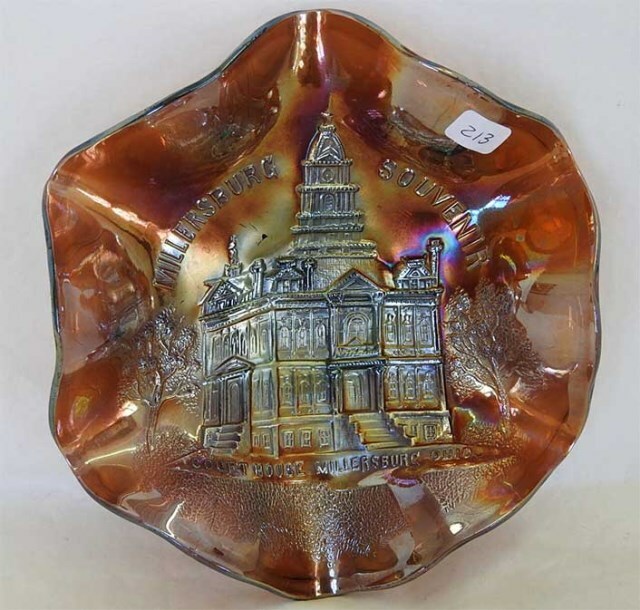 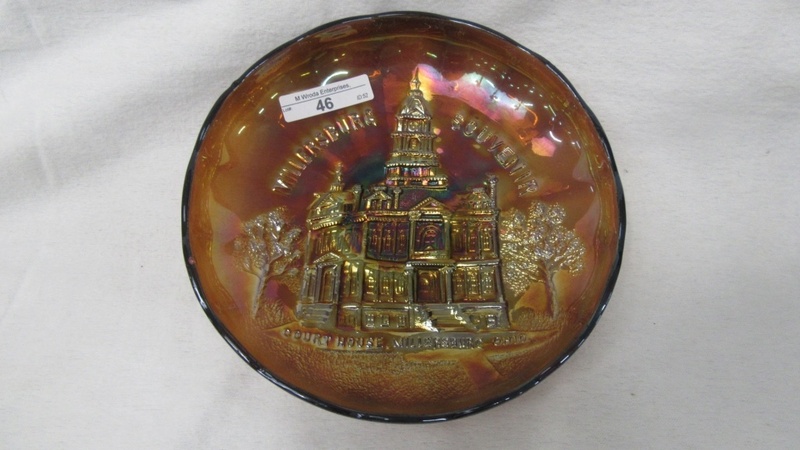 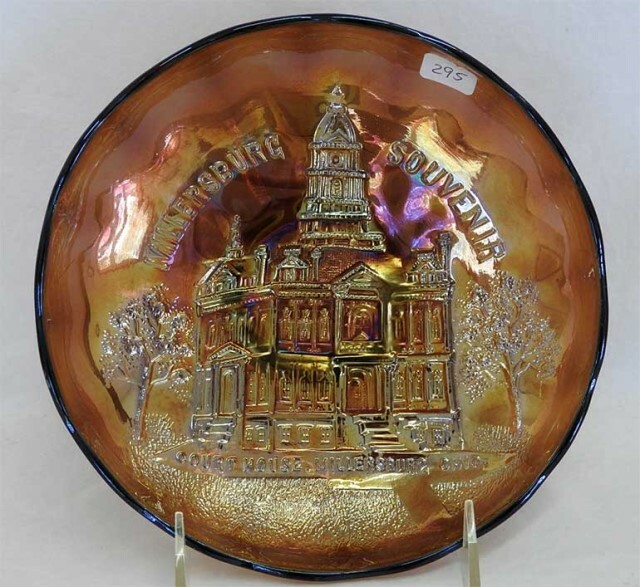 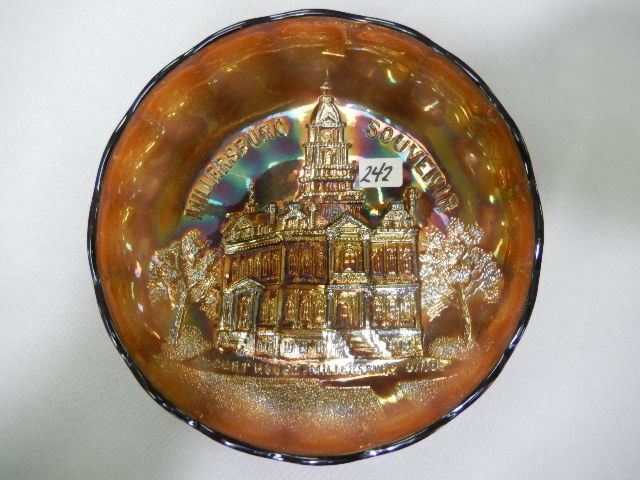 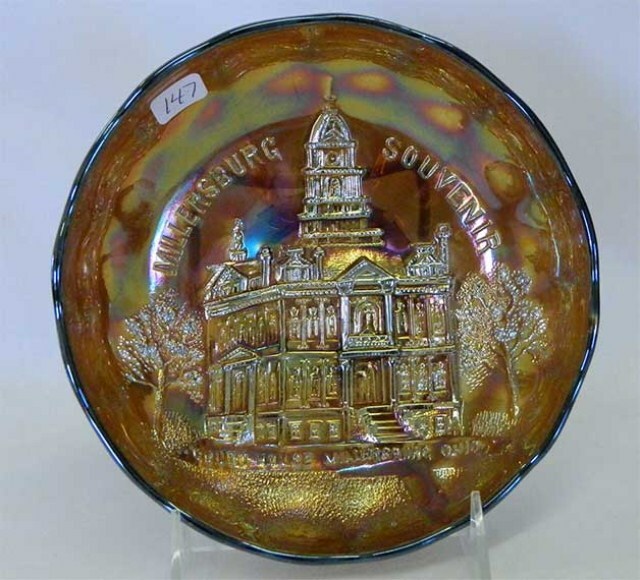 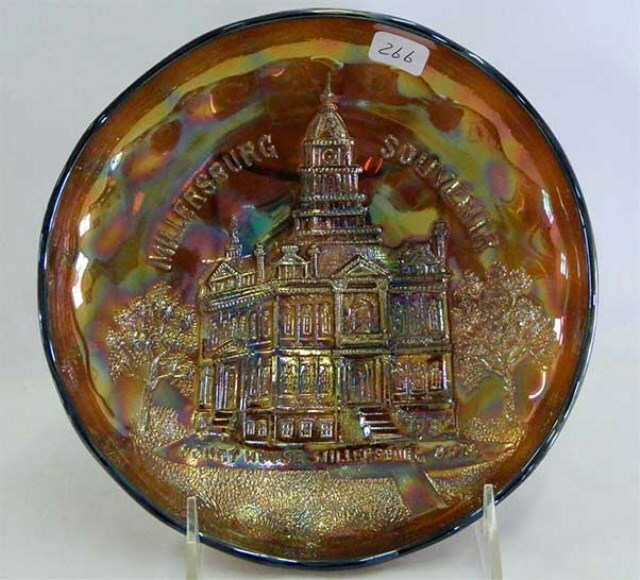 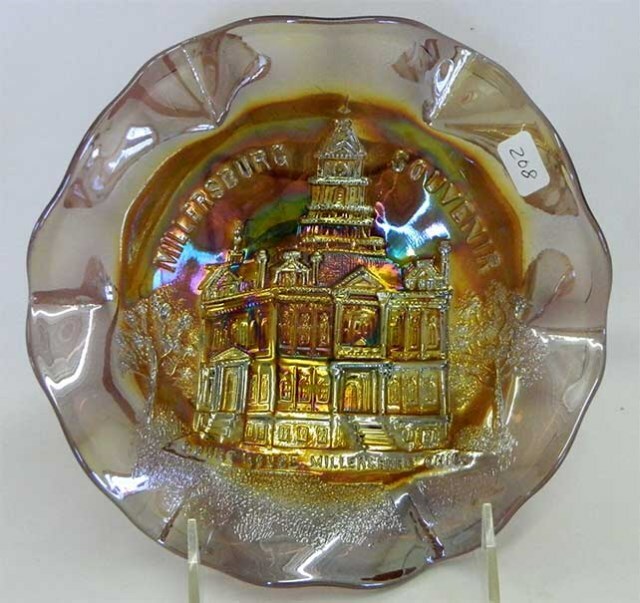 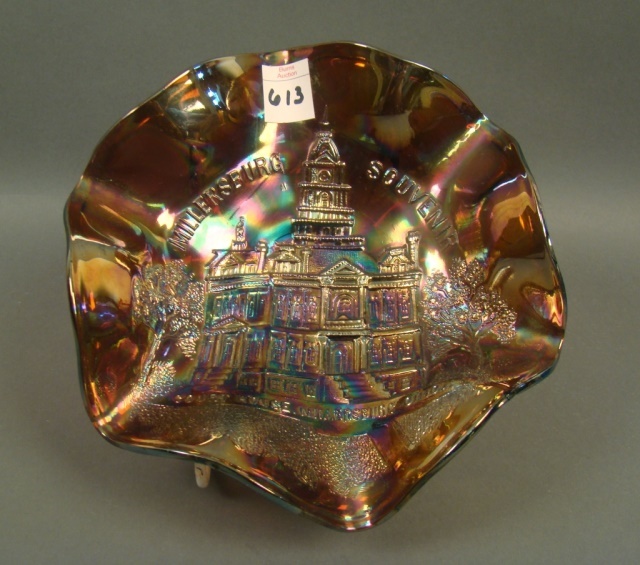 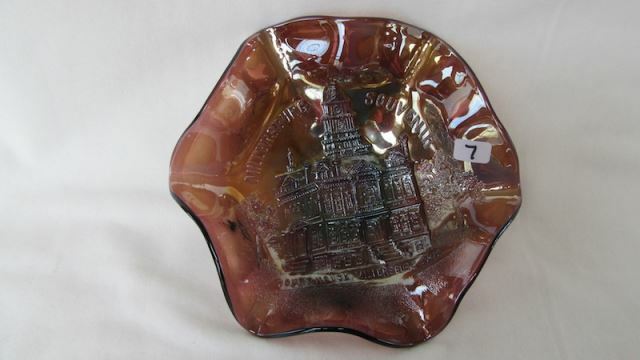 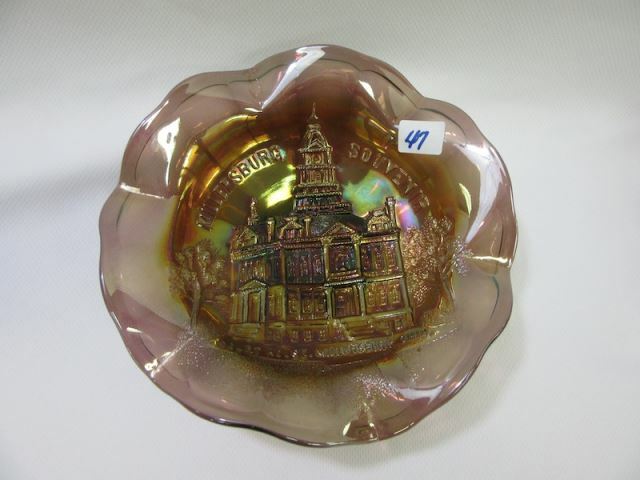 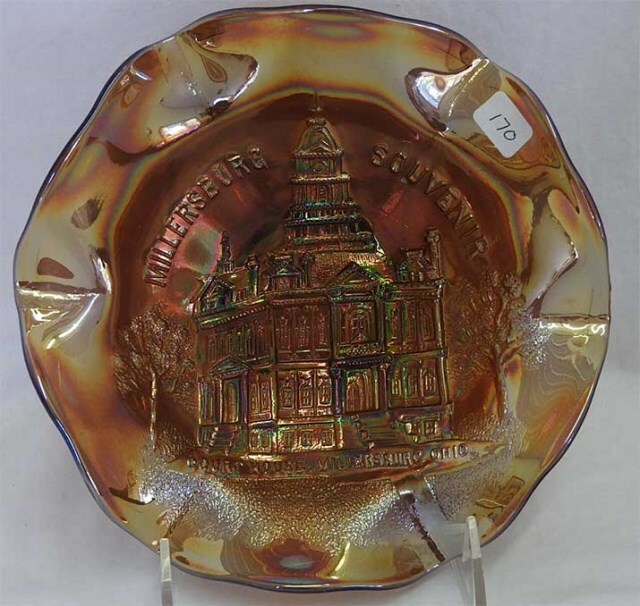 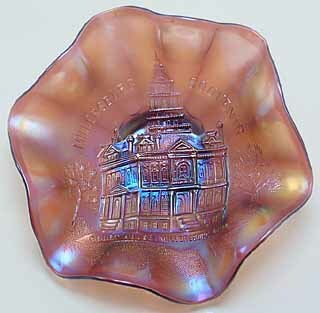 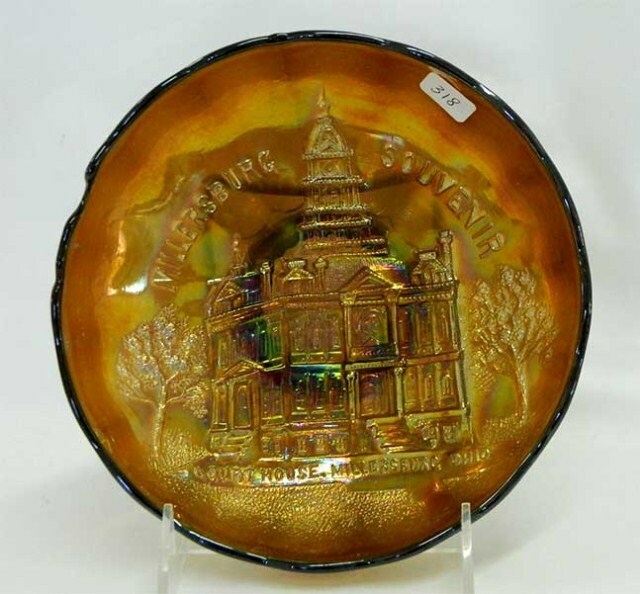 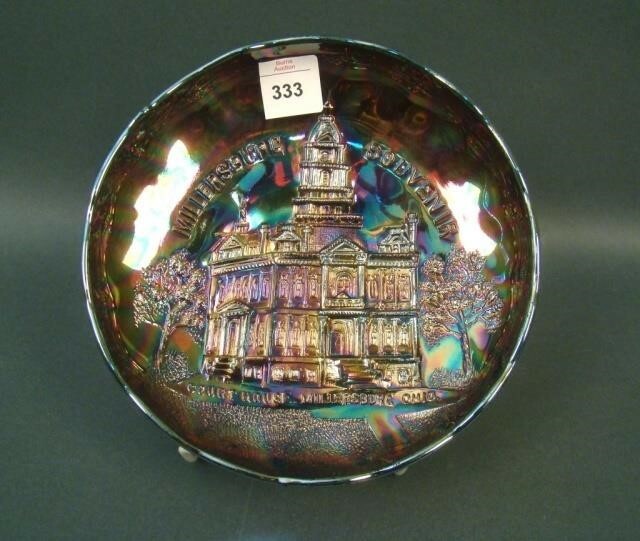 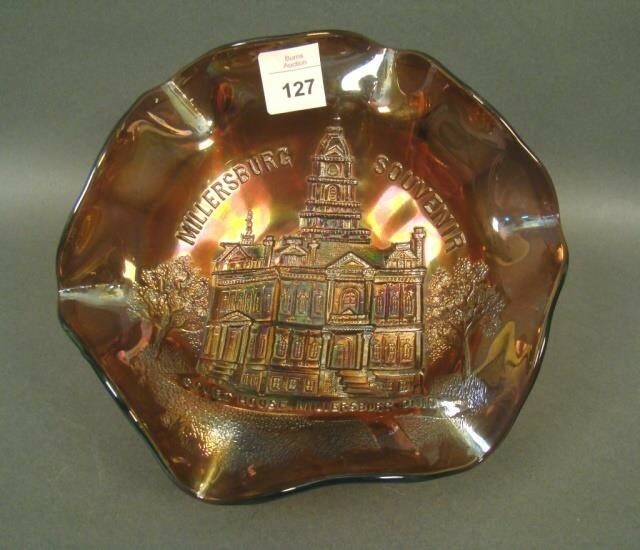 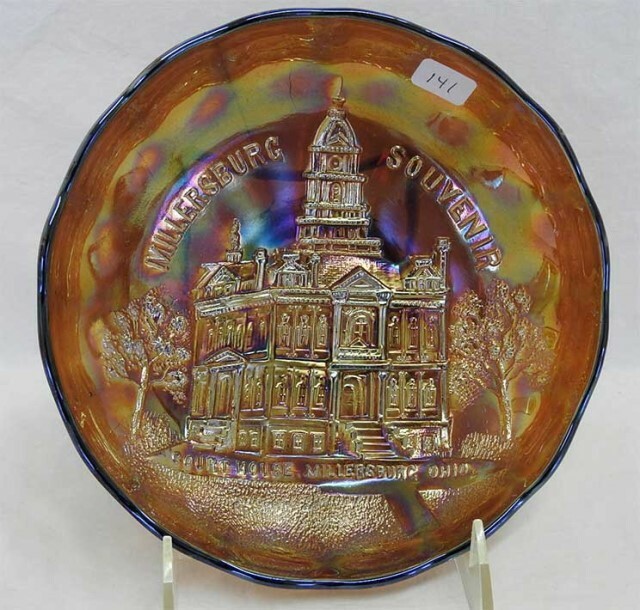 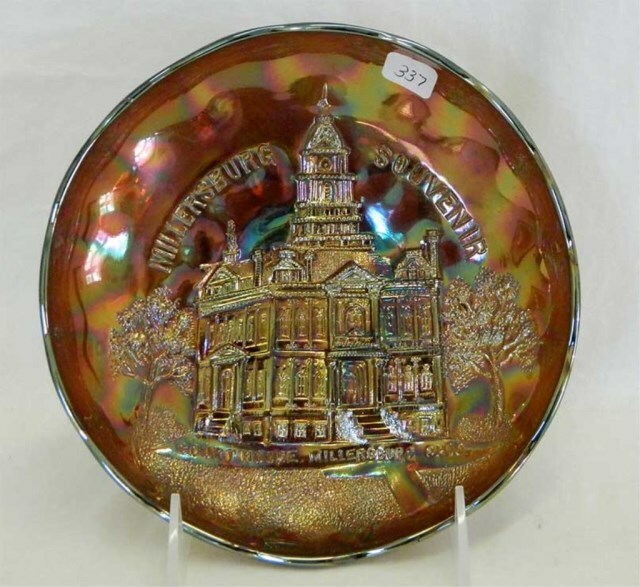 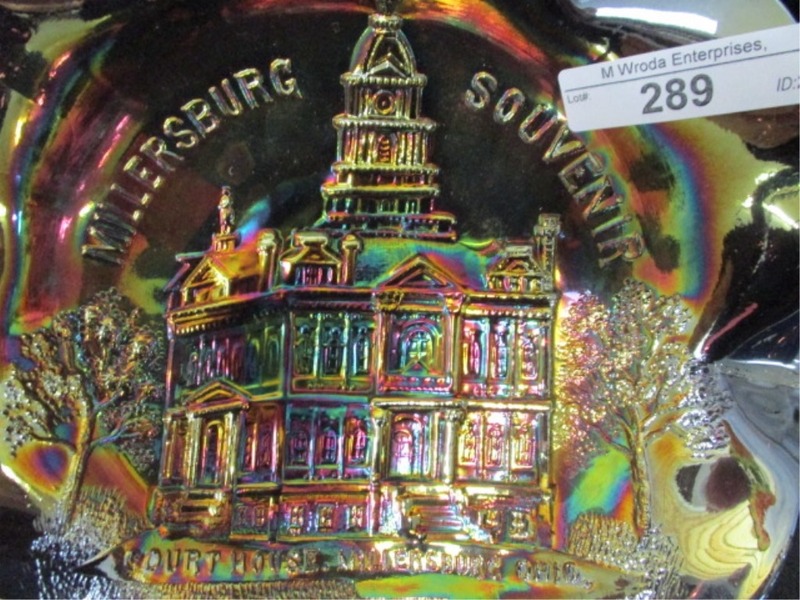 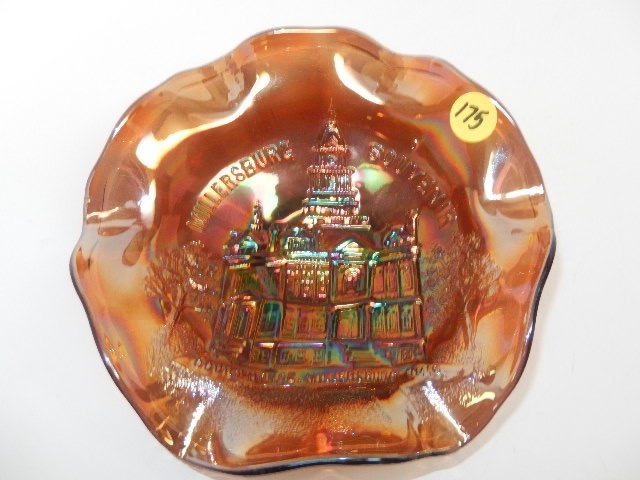 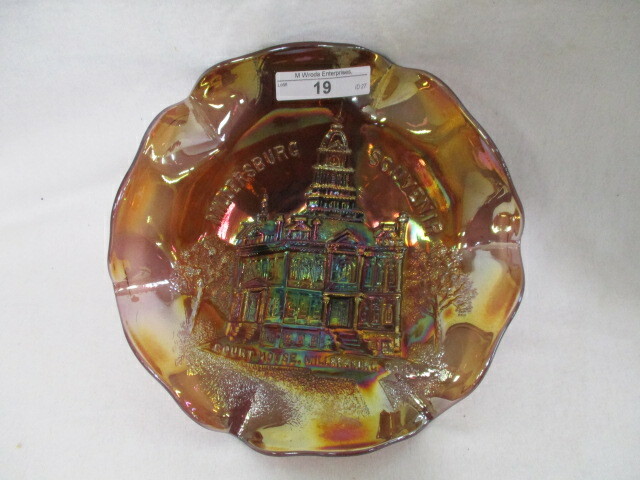 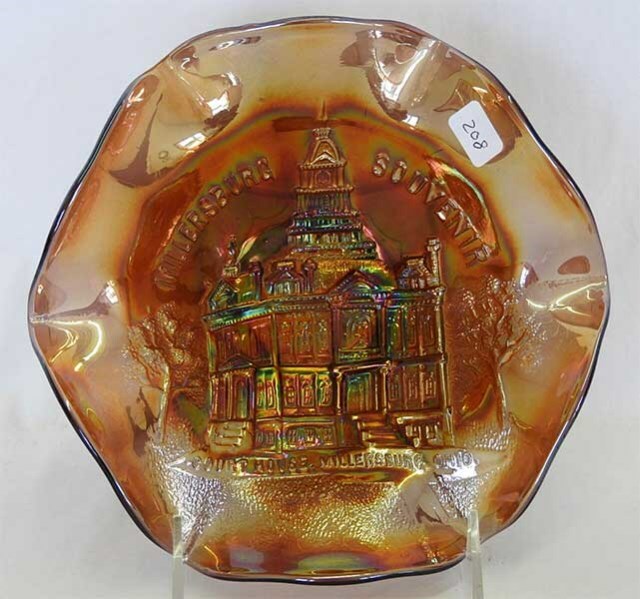 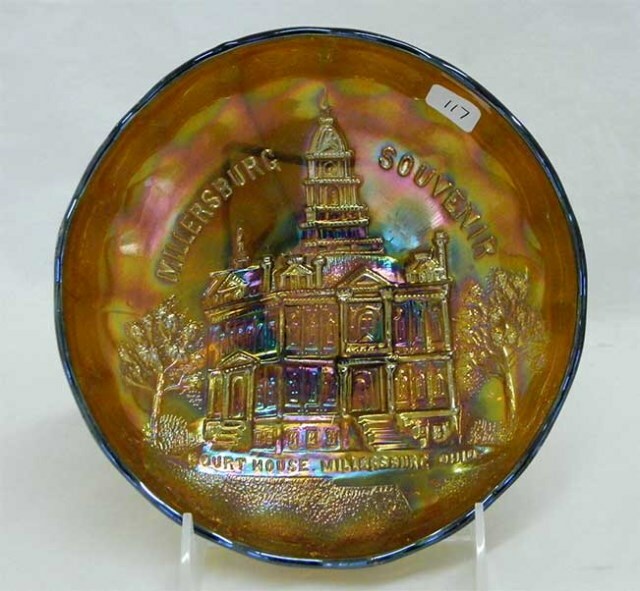 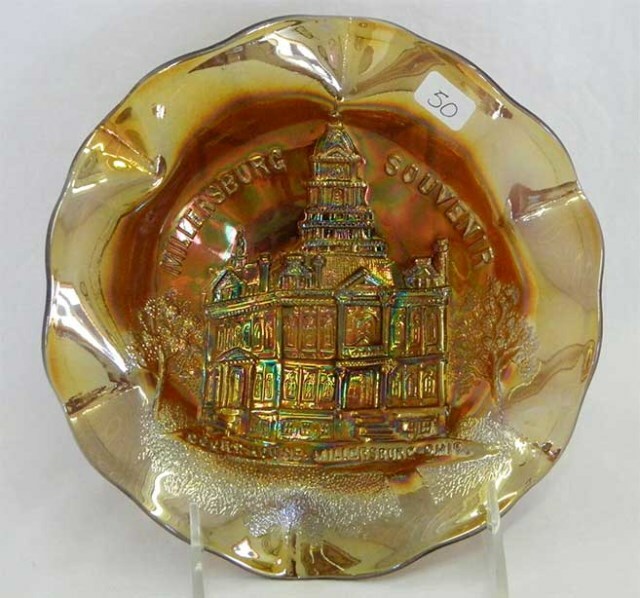 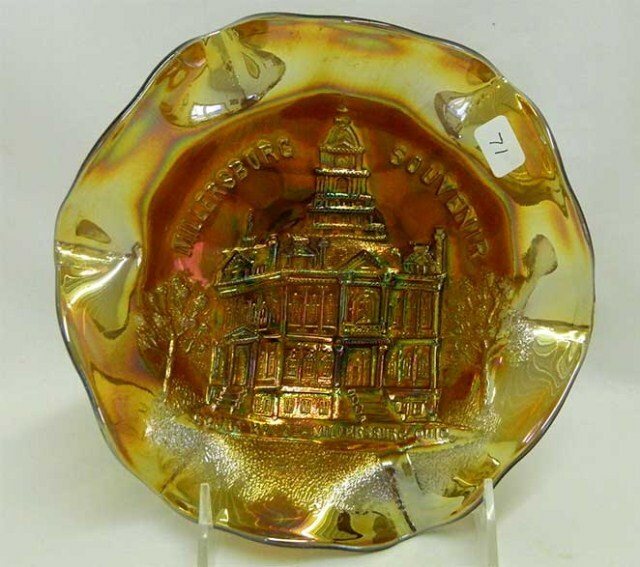 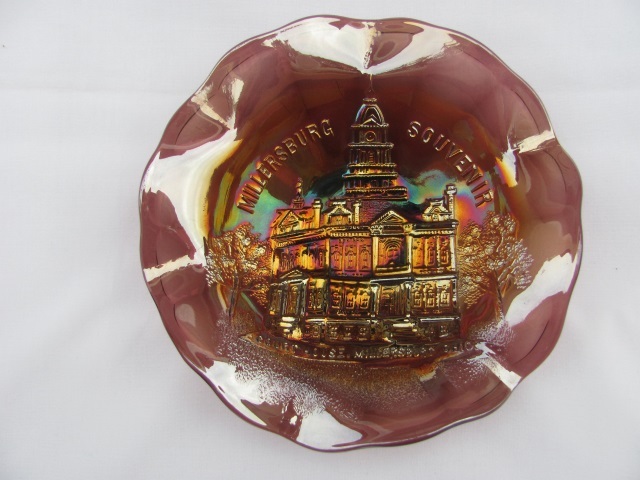 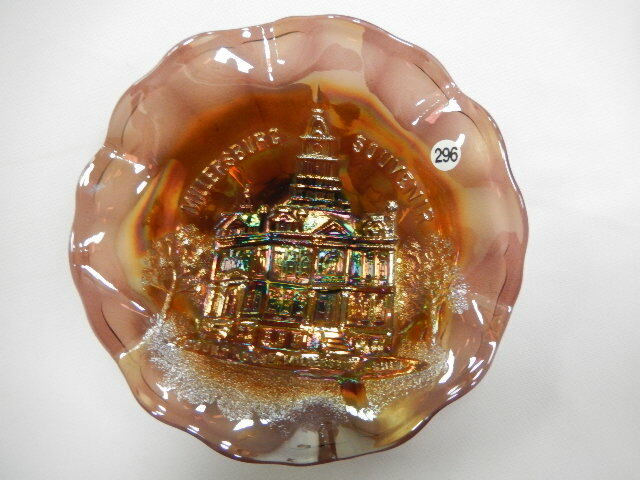 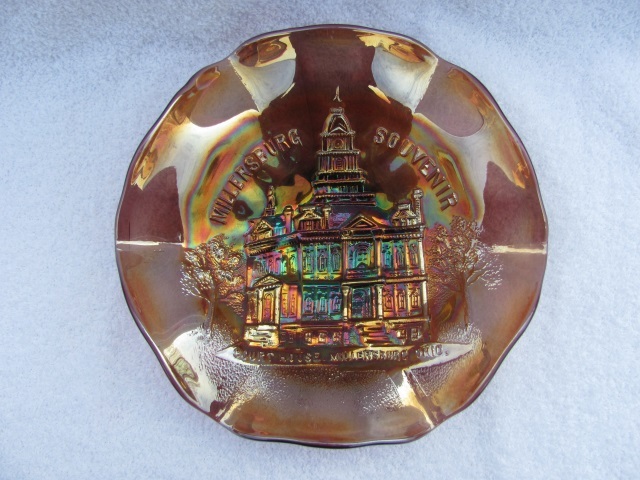 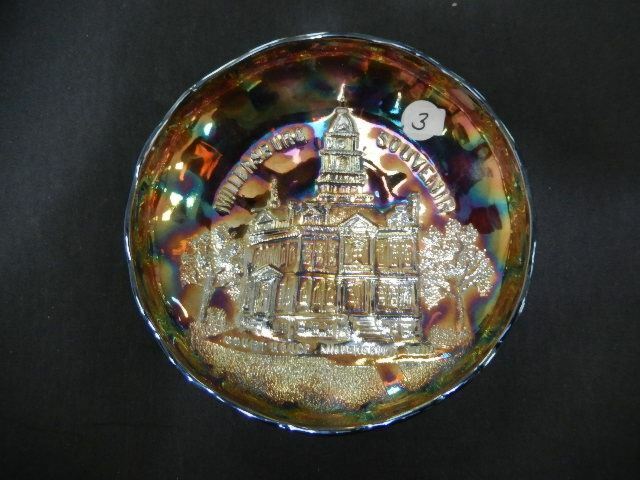 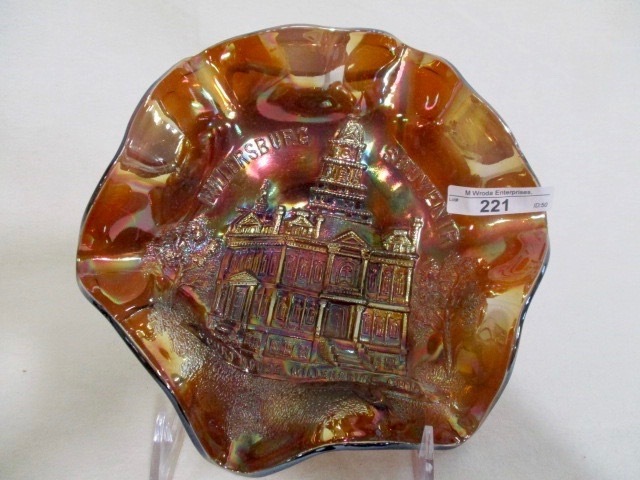 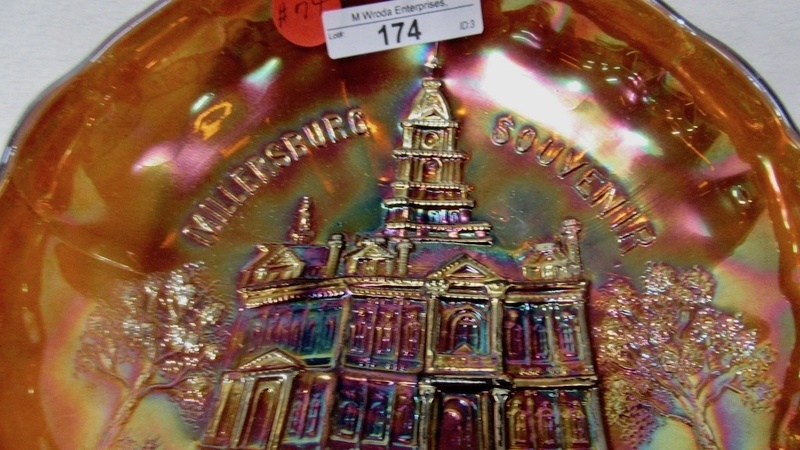 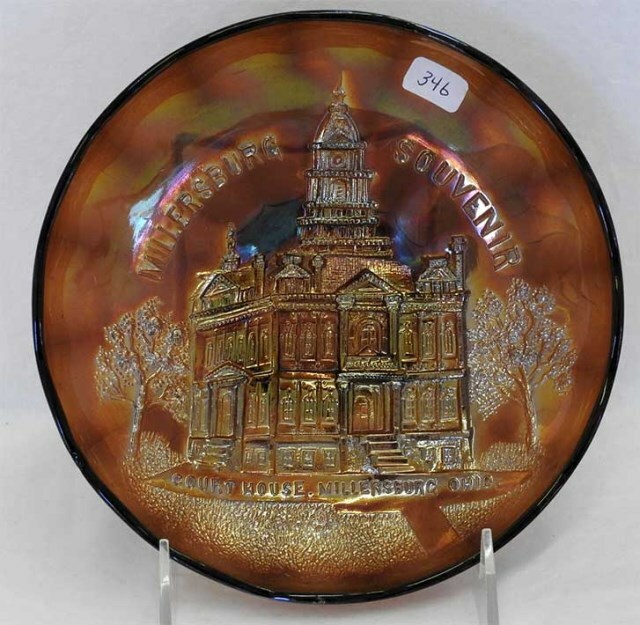 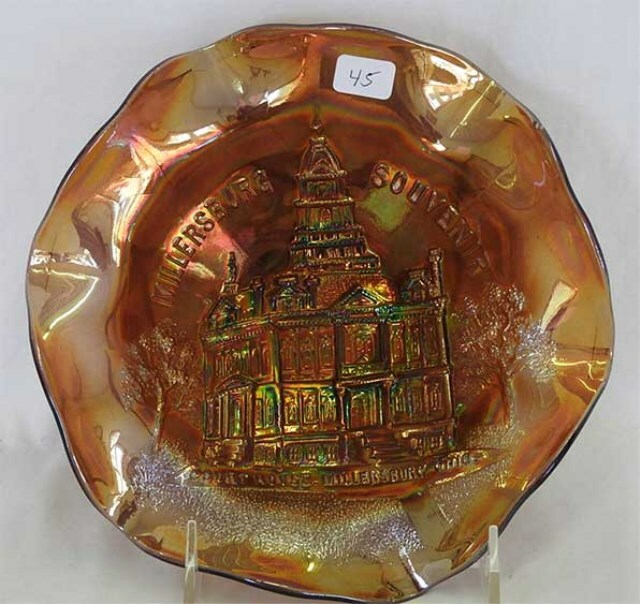 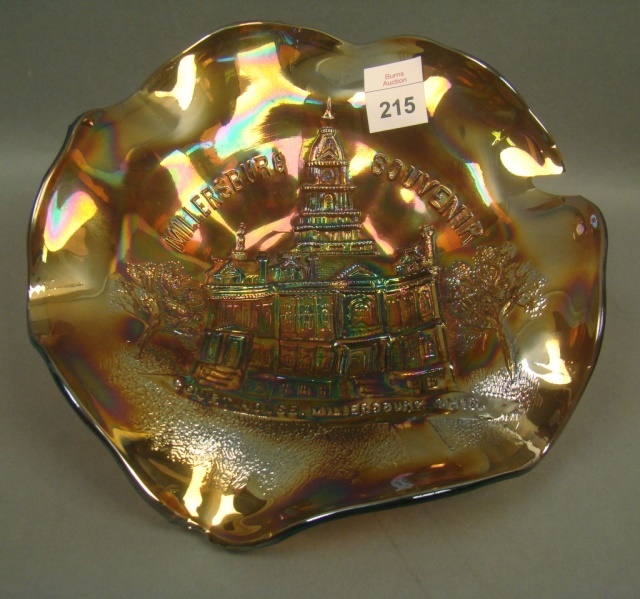 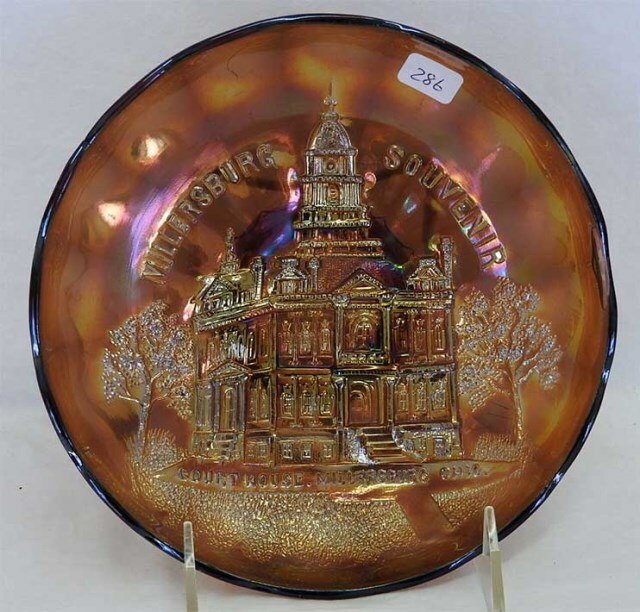 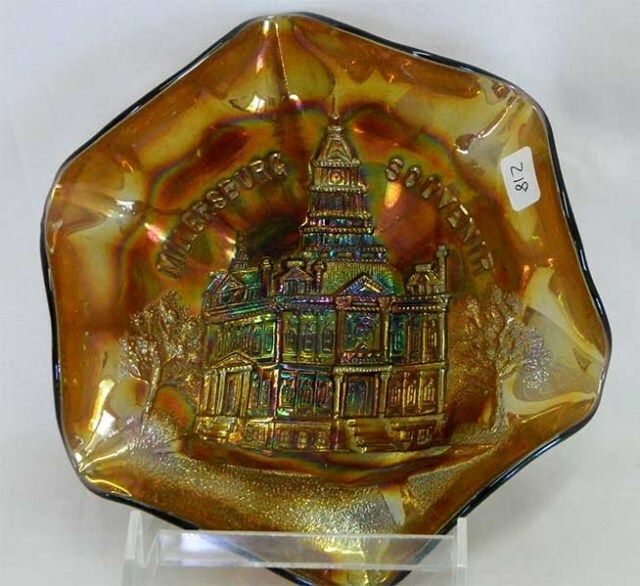 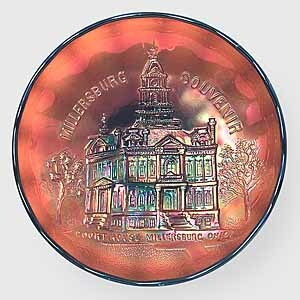 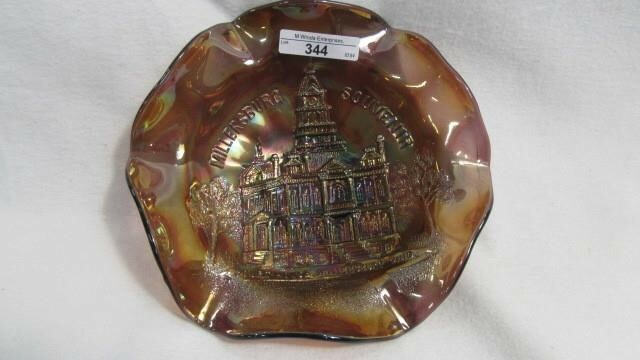 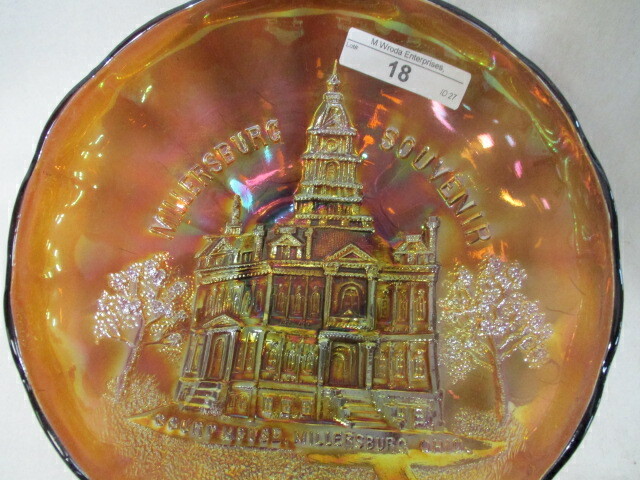 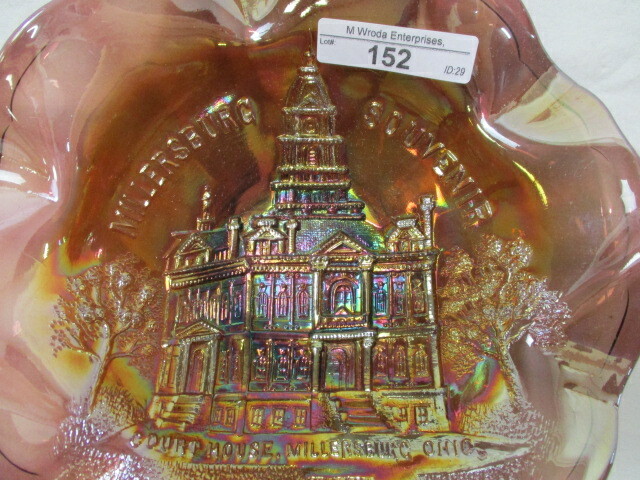 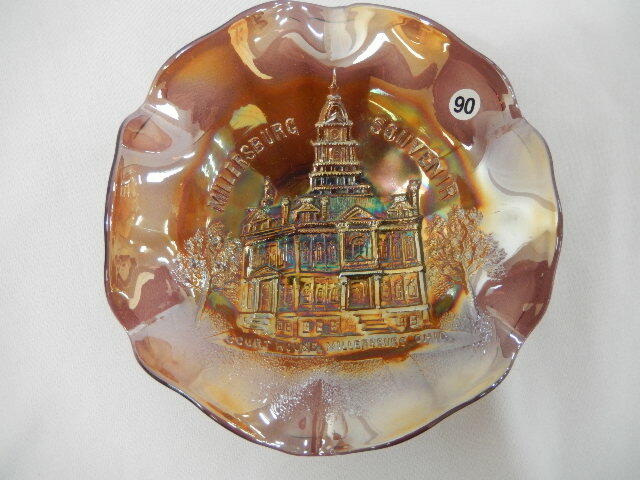 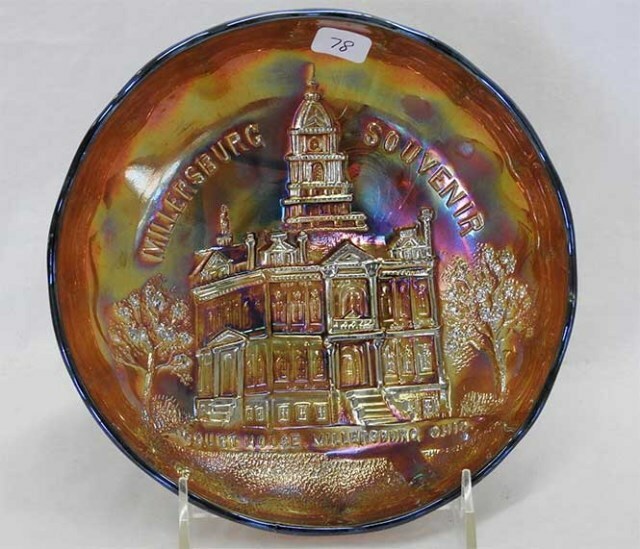 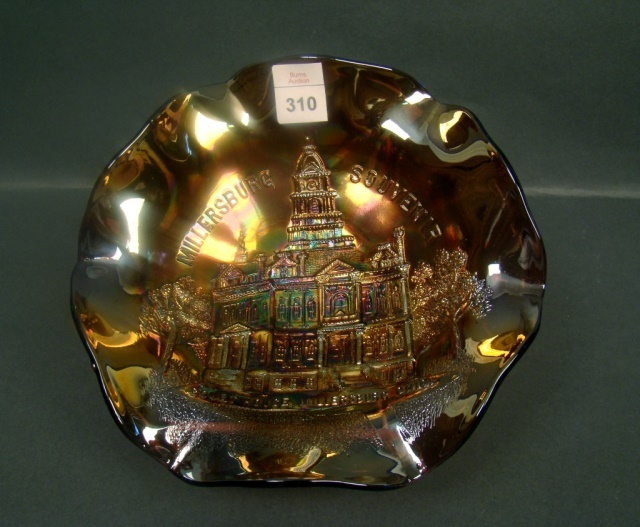 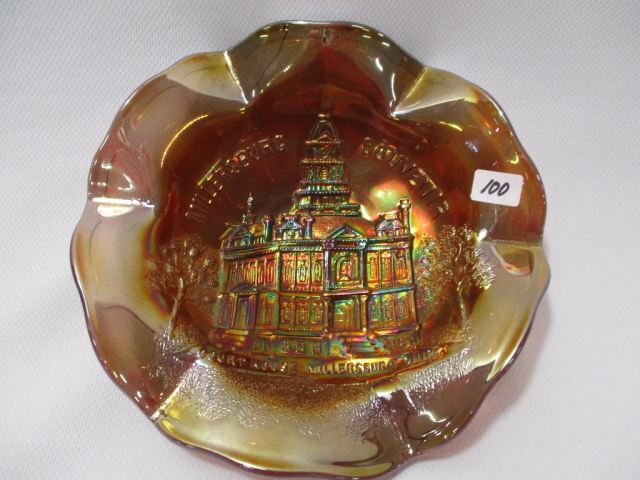 These bowls were commemorative pieces, produced by Millersburg to honor the city in which they were based. 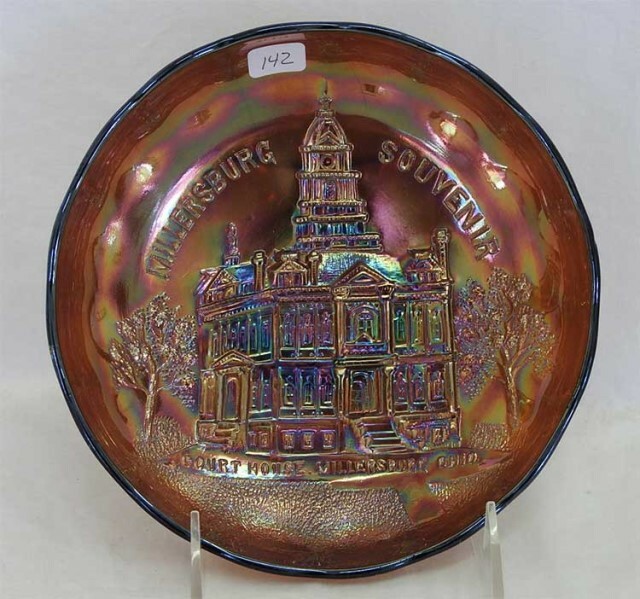 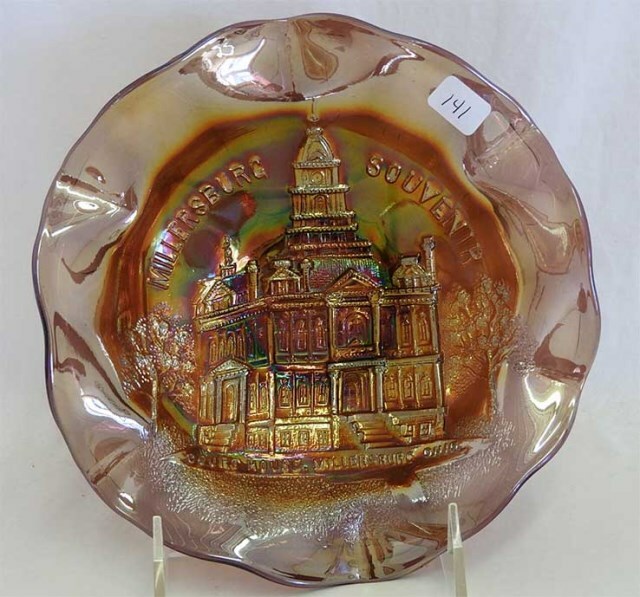 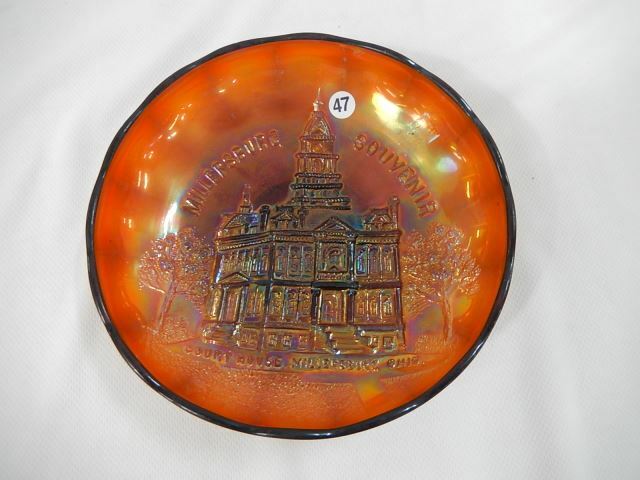 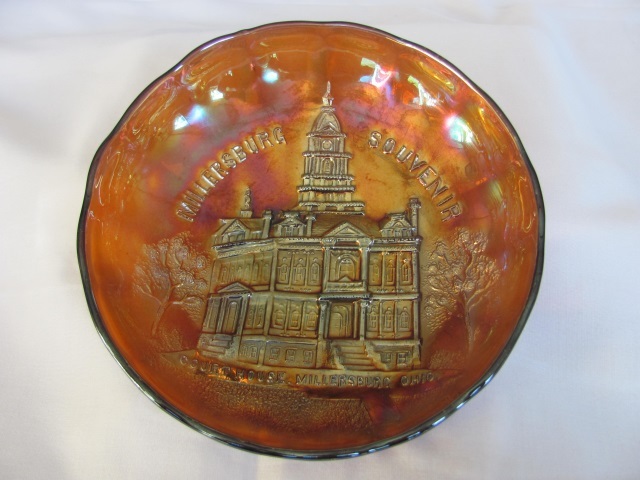 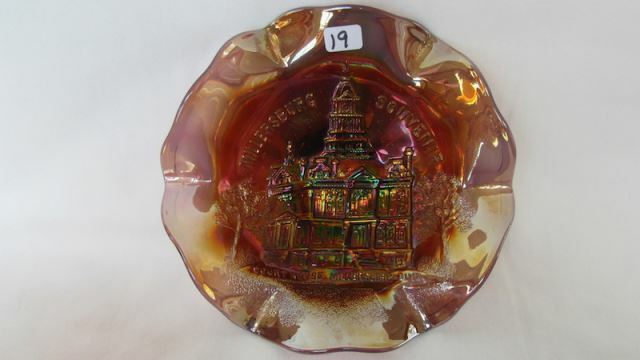 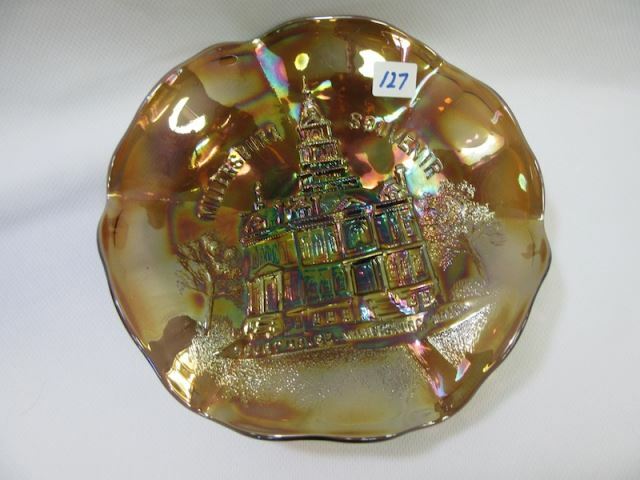 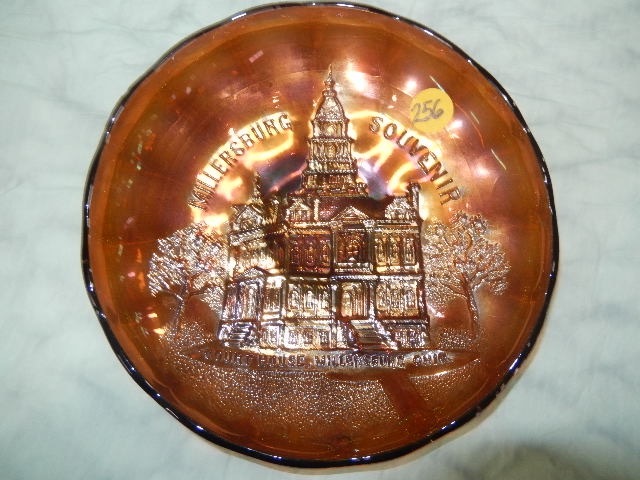 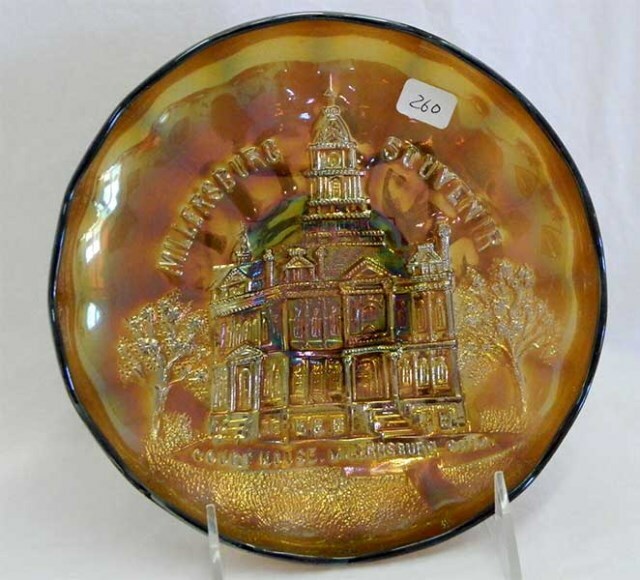 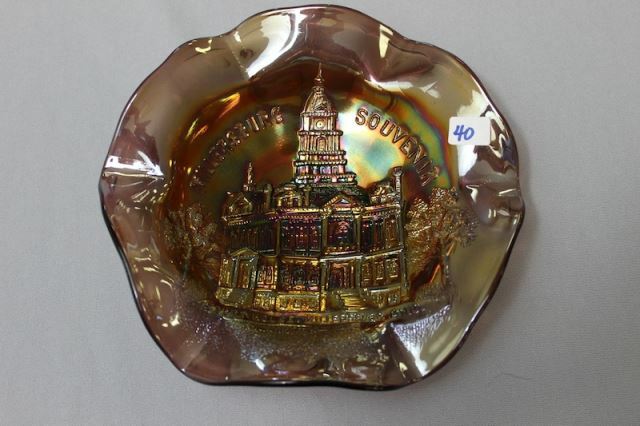 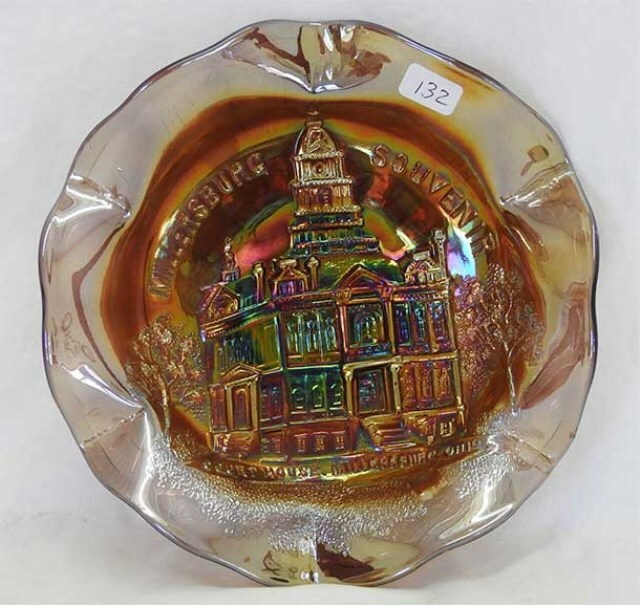 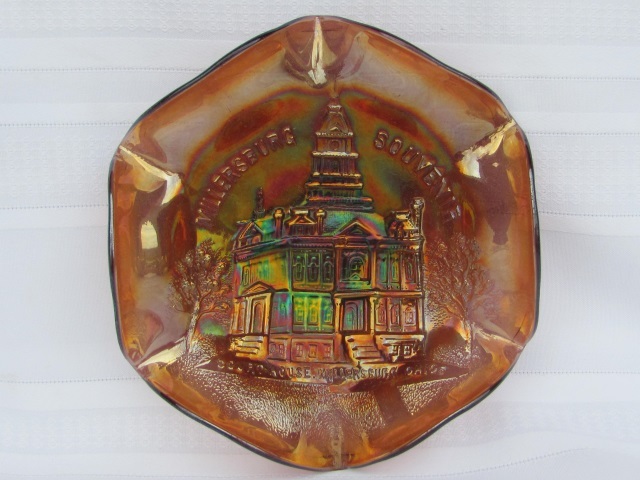 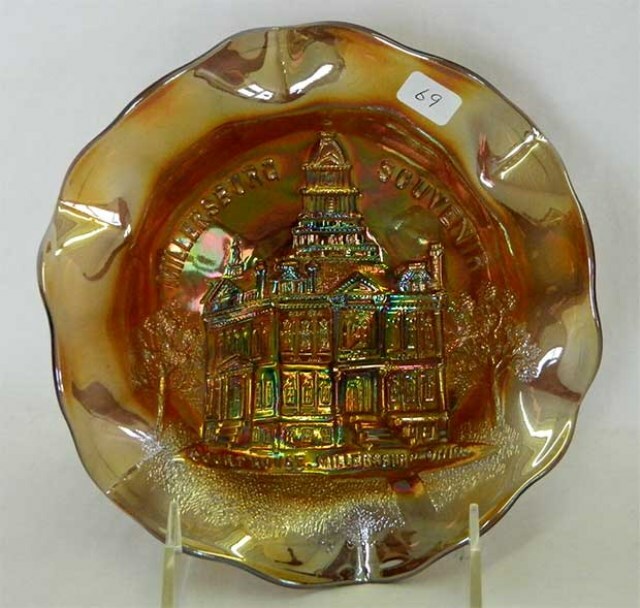 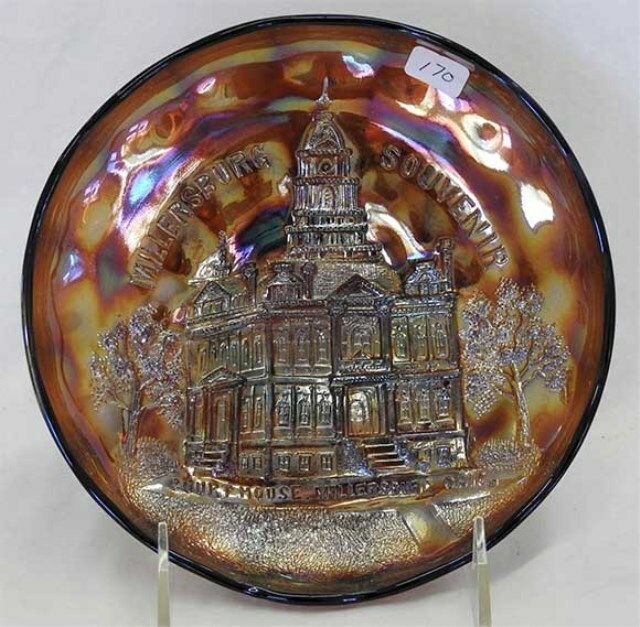 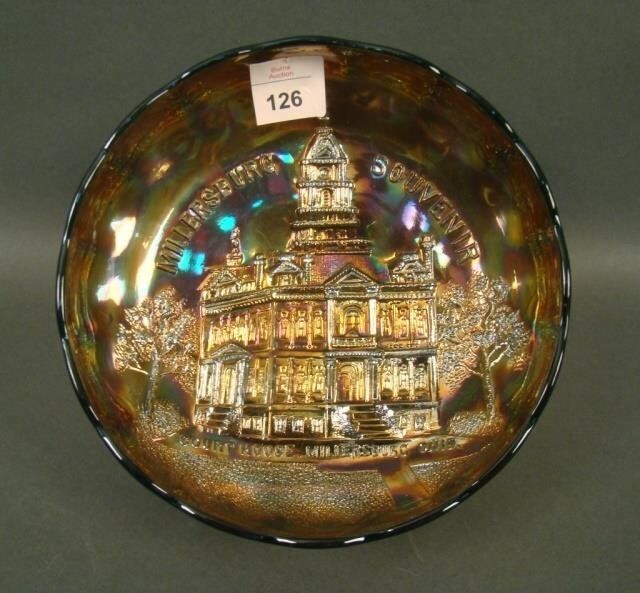 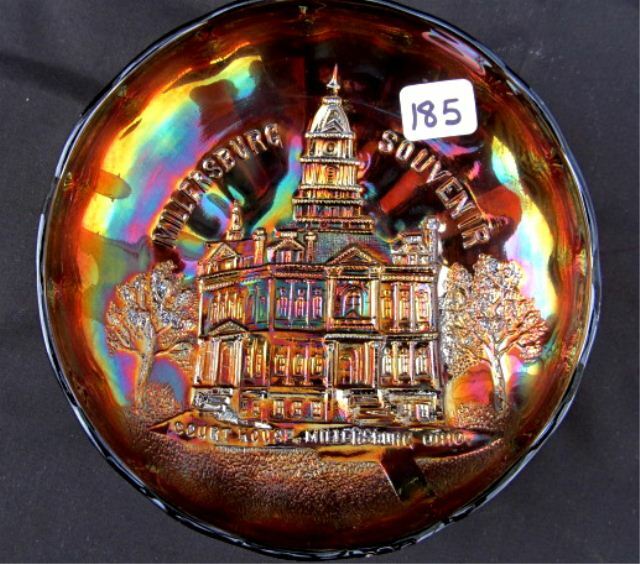 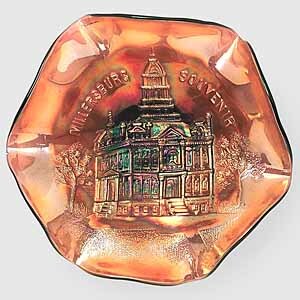 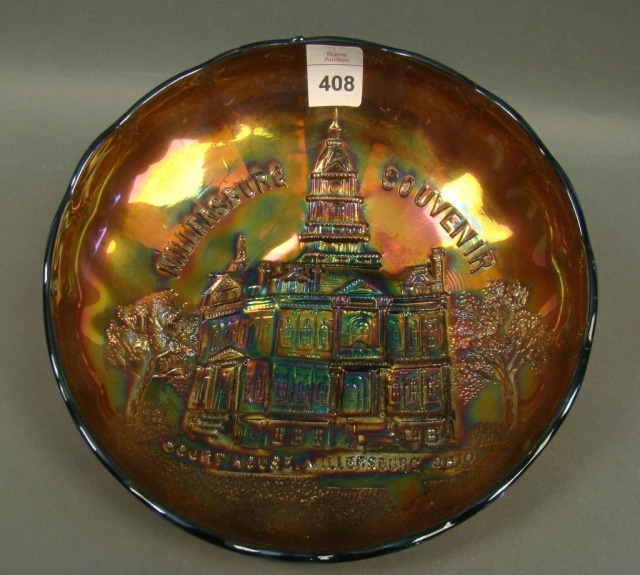 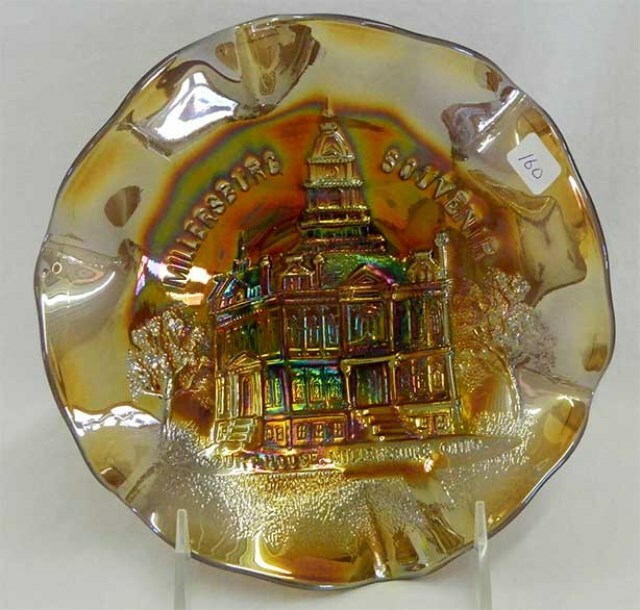 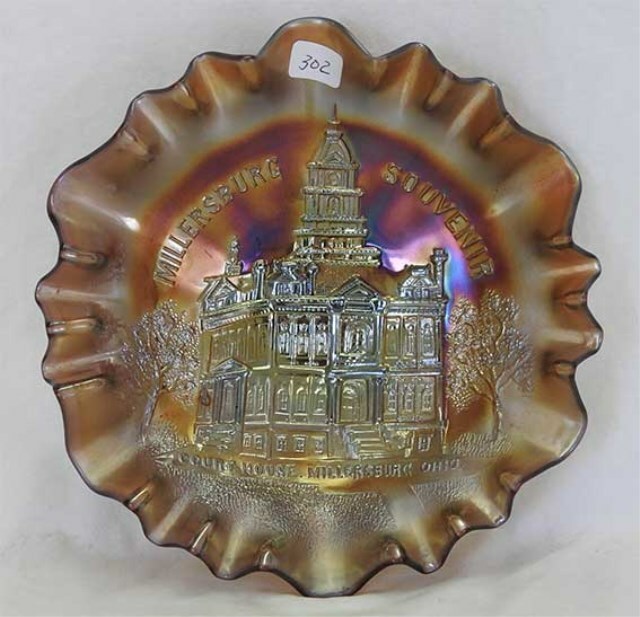 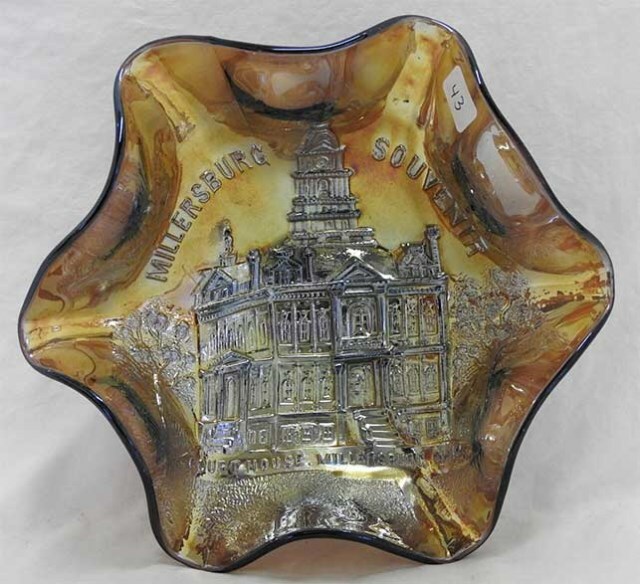 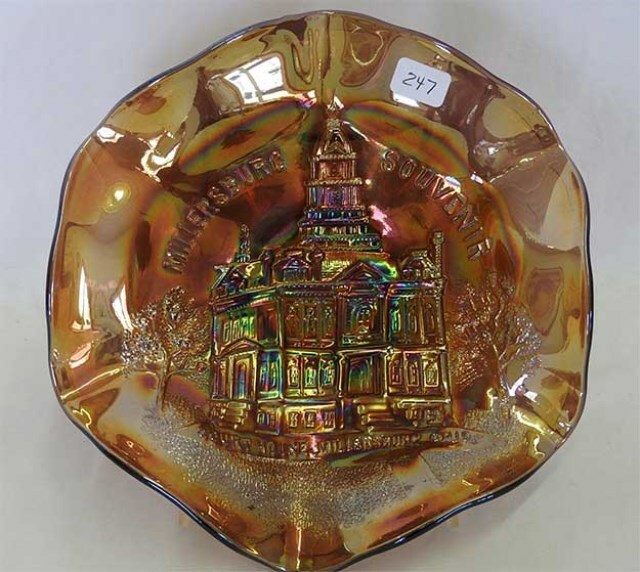 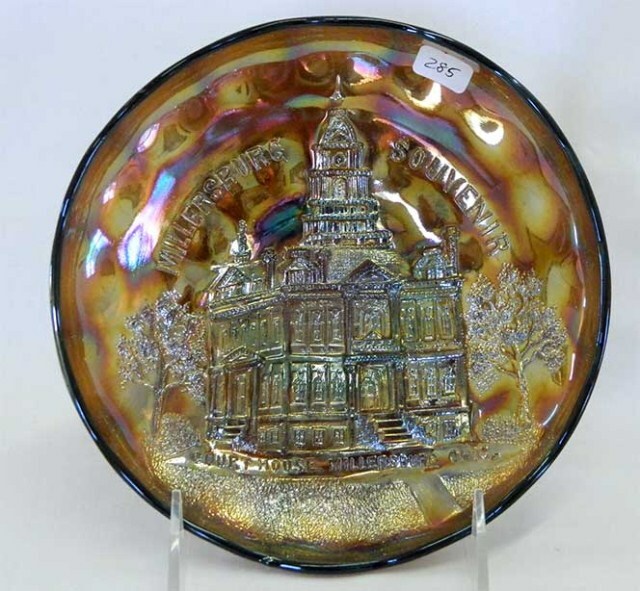 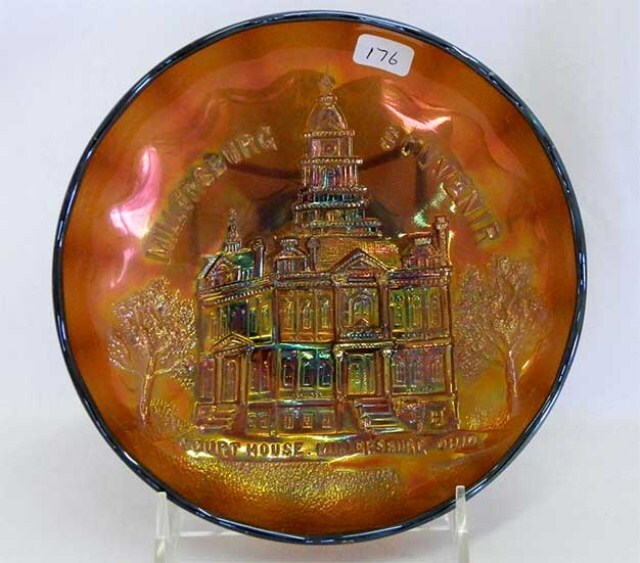 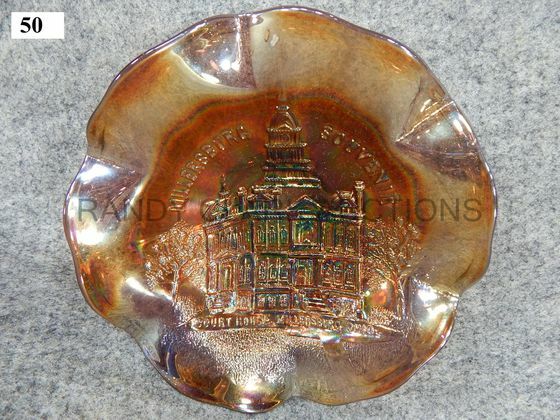 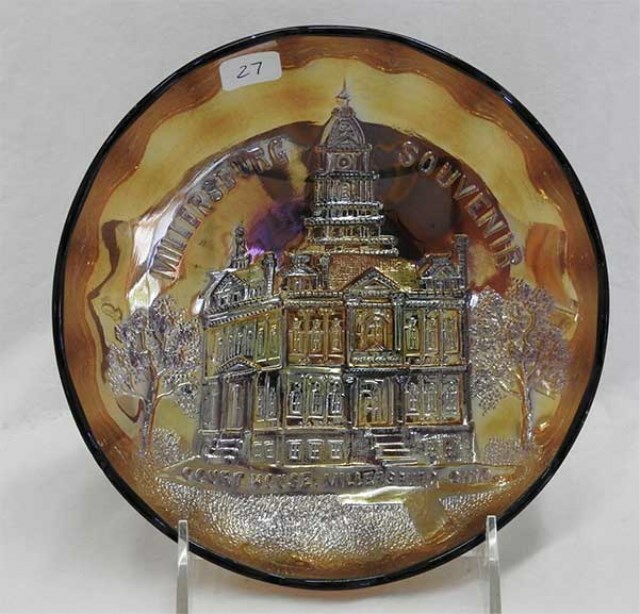 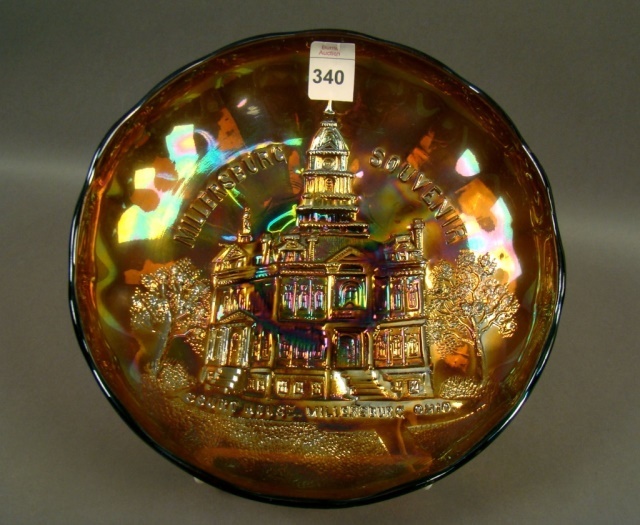 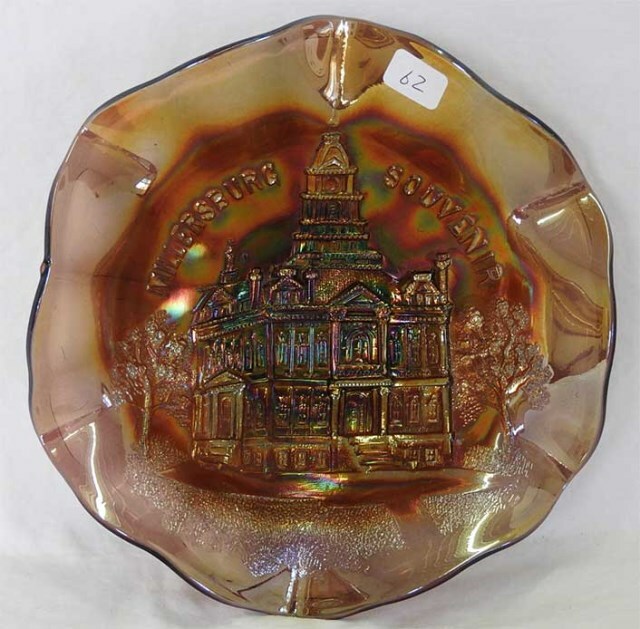 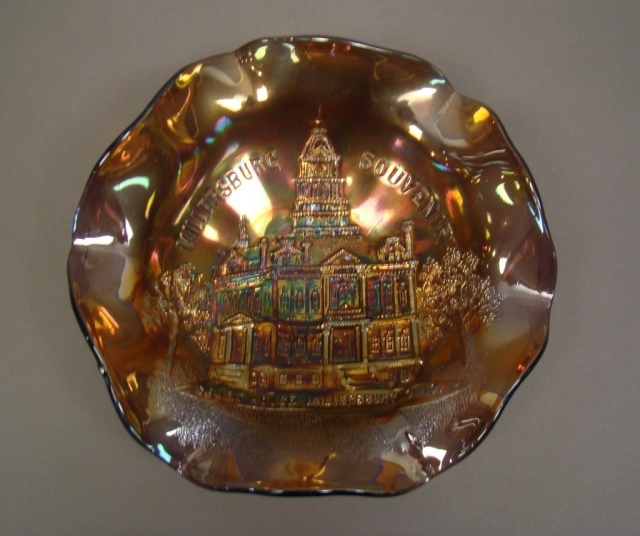 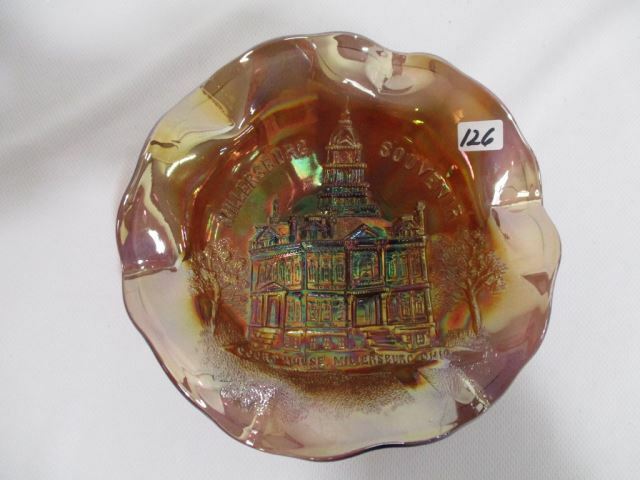 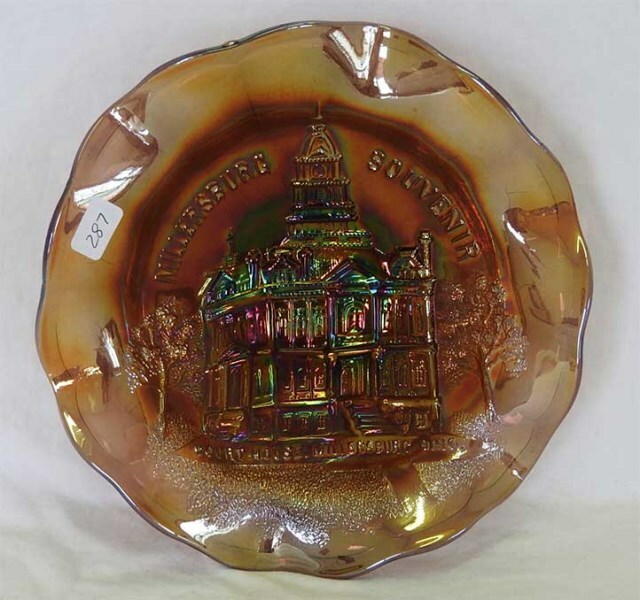 The most often seen bowl has the words “Courthouse, Millersburg Ohio” under the building. 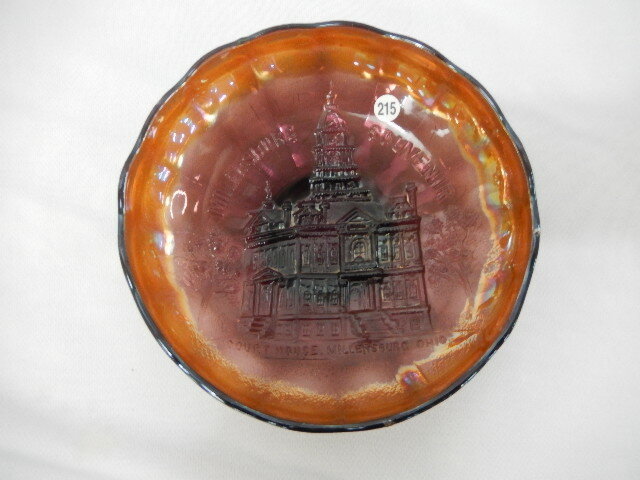 Much more rare are the versions without the lettering under the building (shown above center), apparently the first examples, after which the makers decided that the building needed identification. 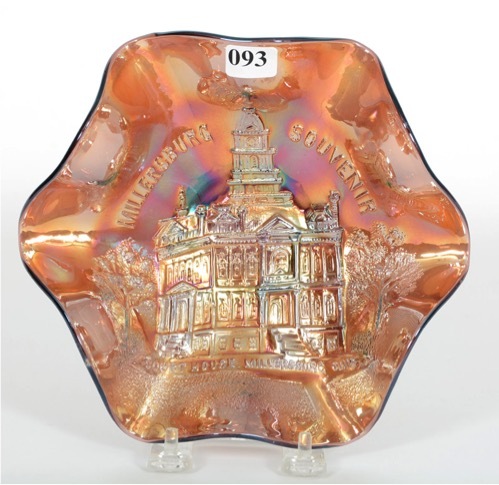 All pieces are extremely desirable, the lettered versions are relatively easy to find. 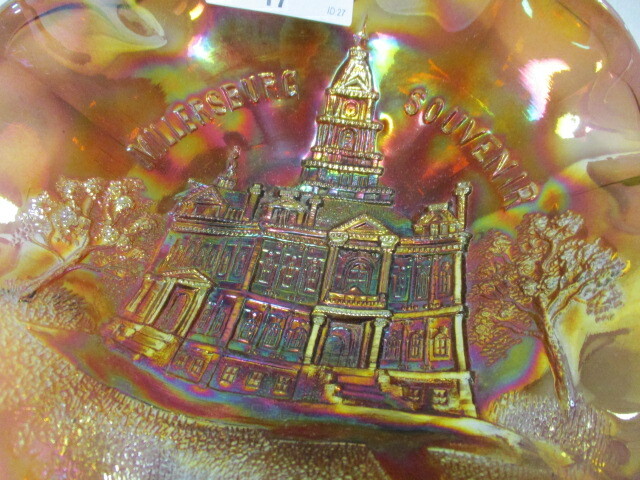 The lavender bowl above right sold in 2003 for $2,300.